​It's the newest and most talked about trend in the beauty industry. 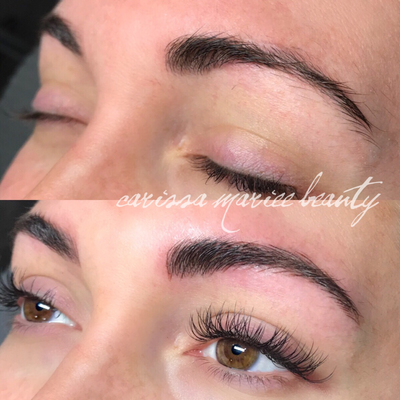 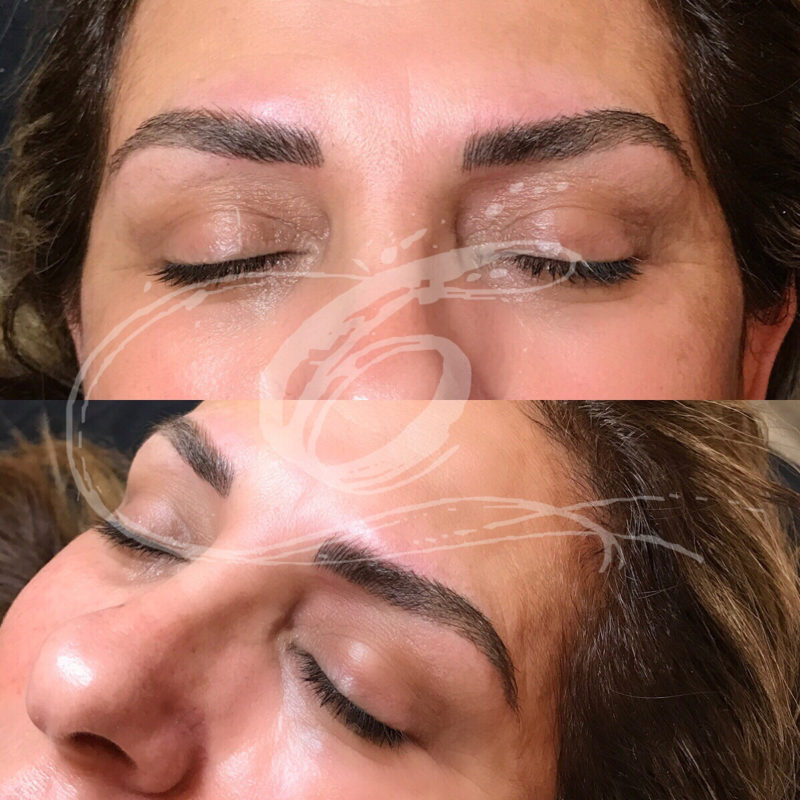 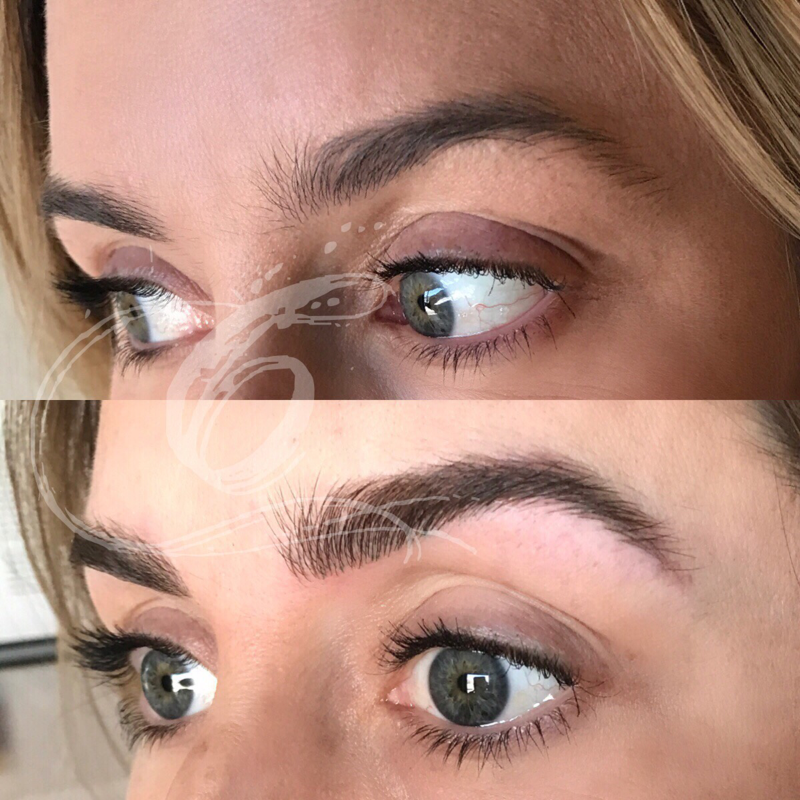 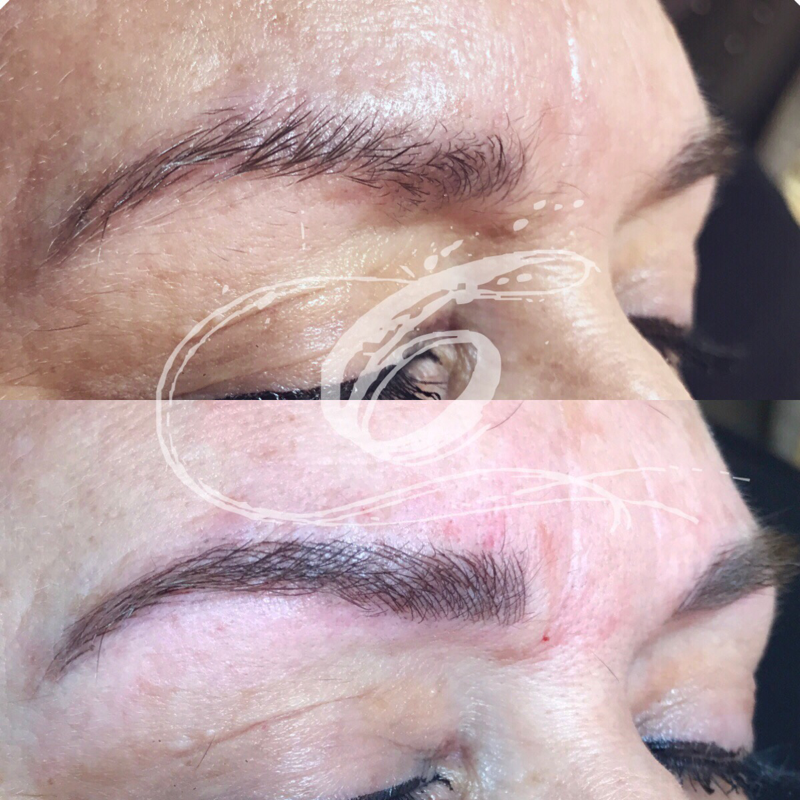 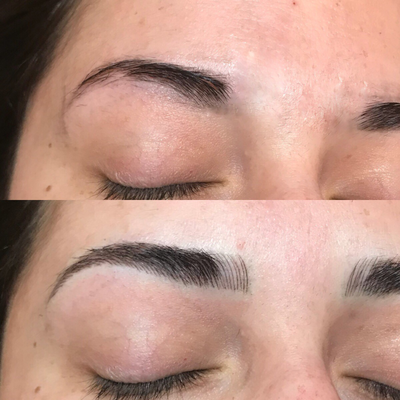 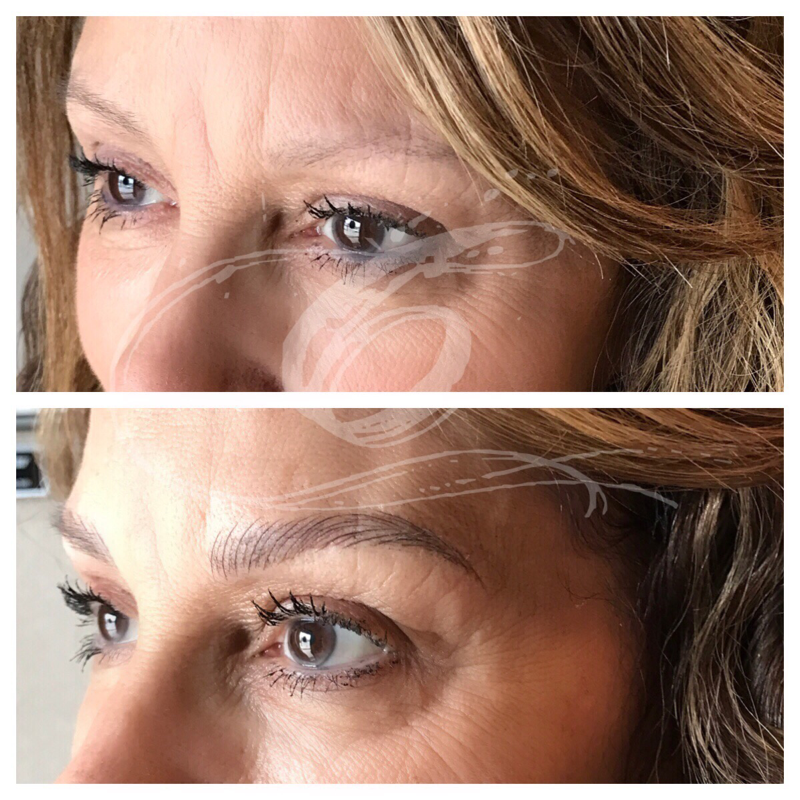 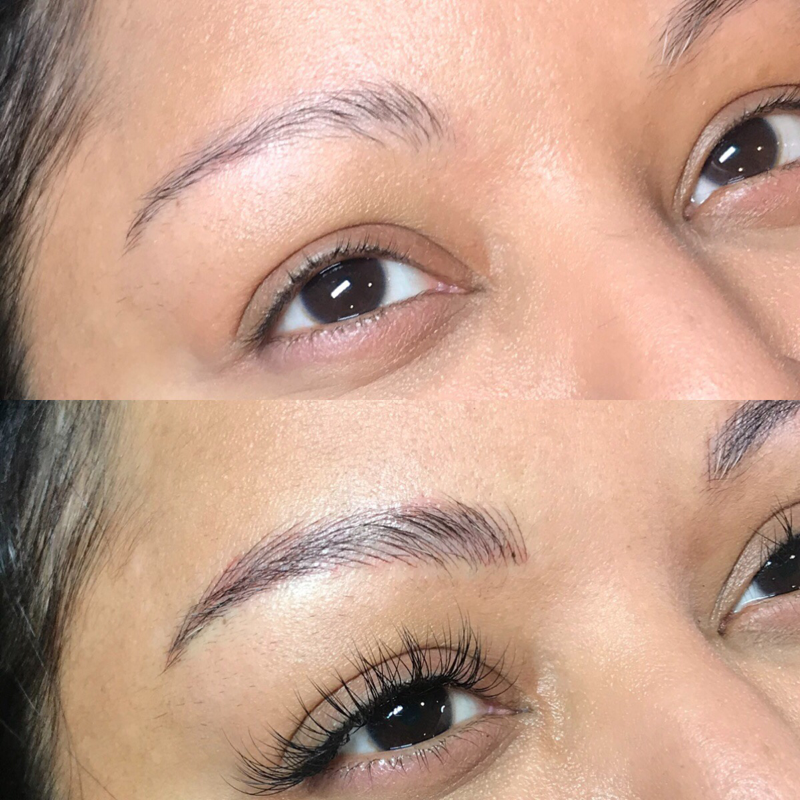 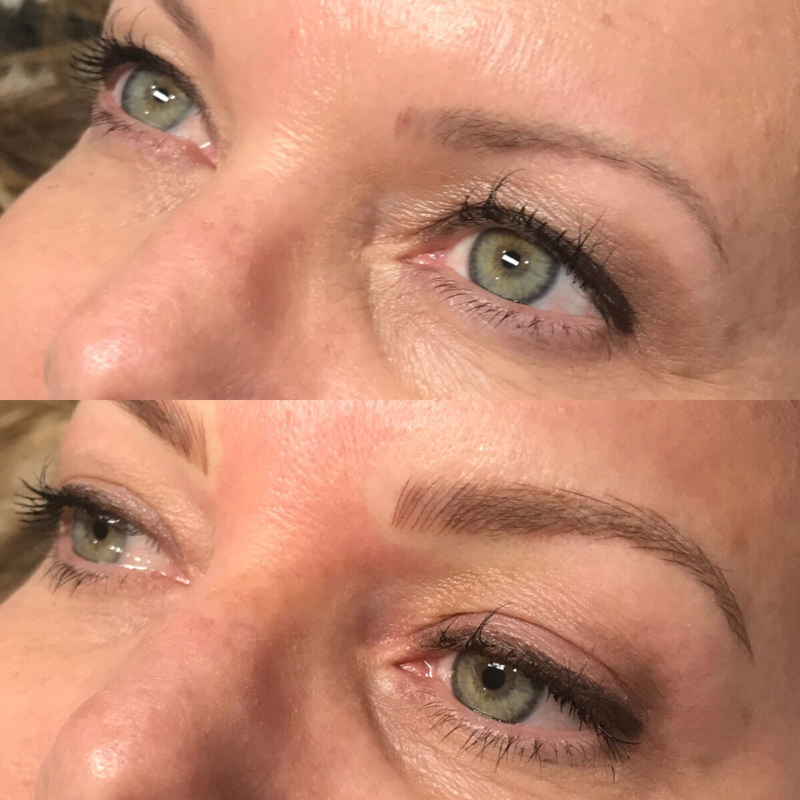 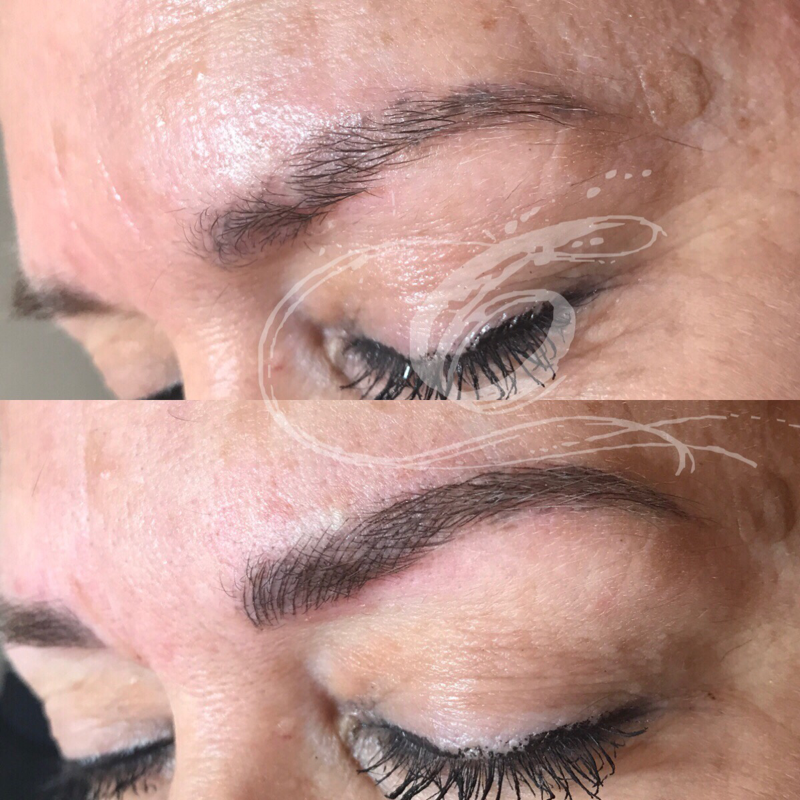 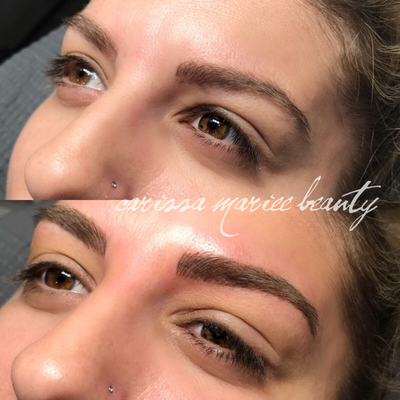 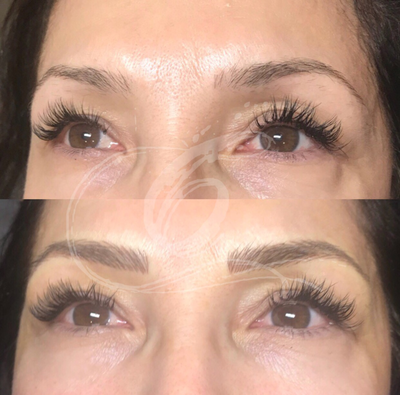 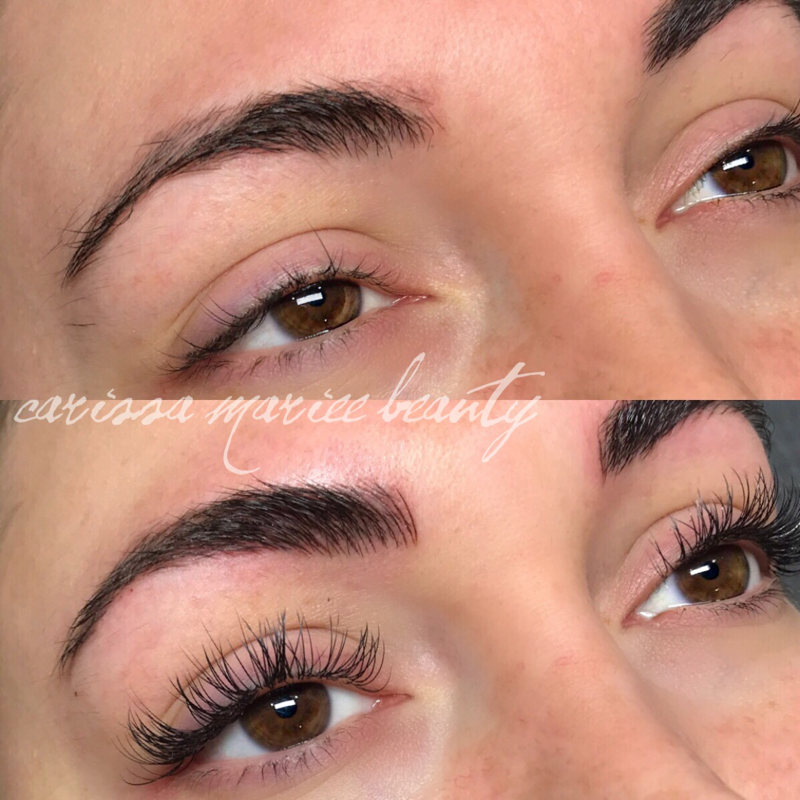 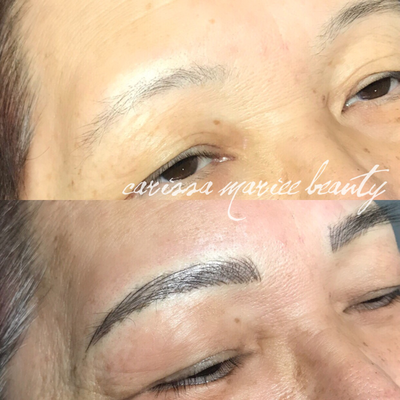 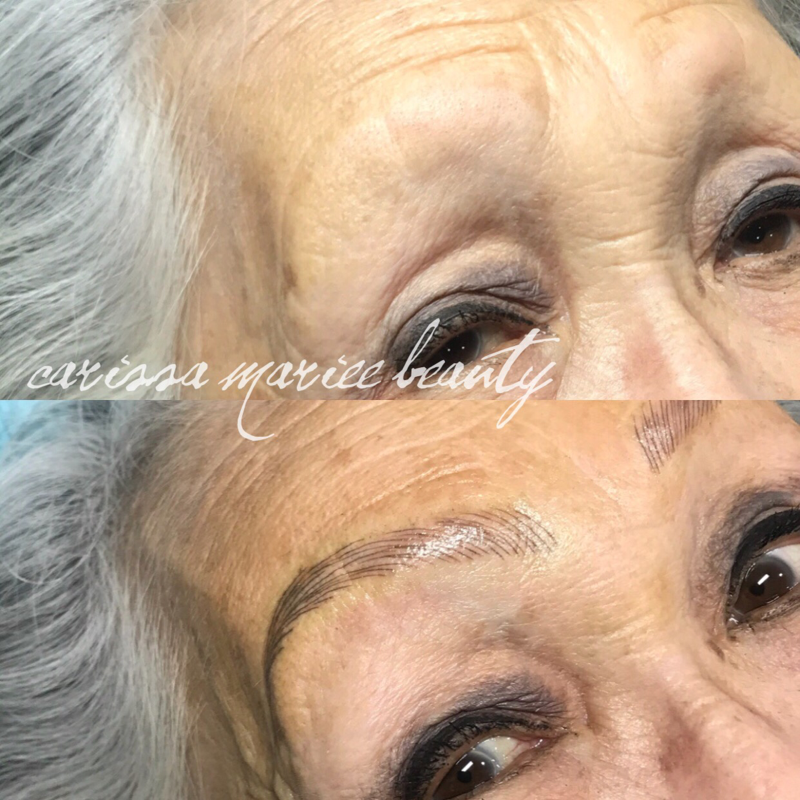 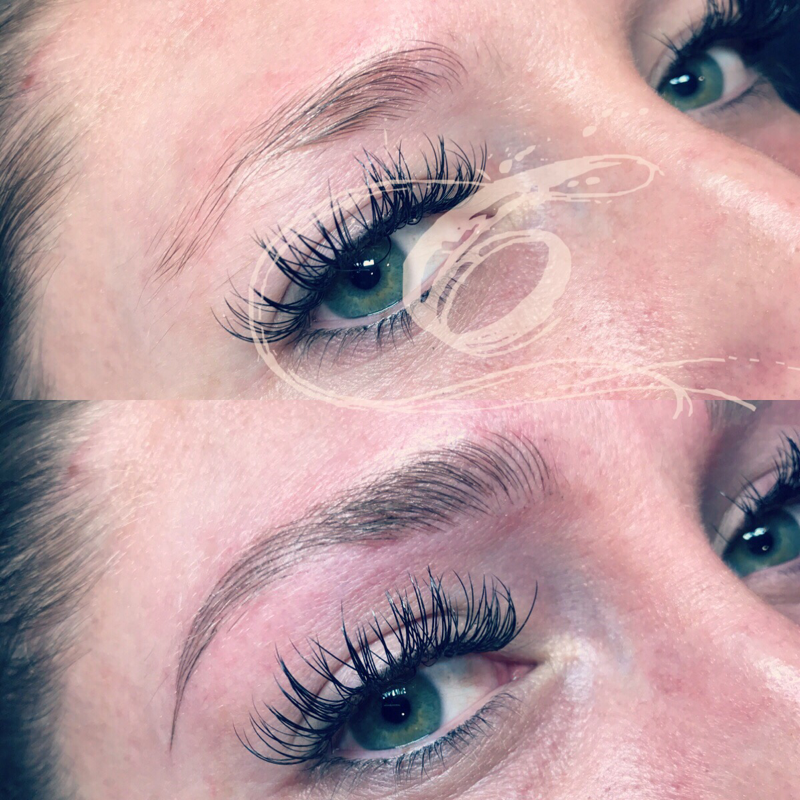 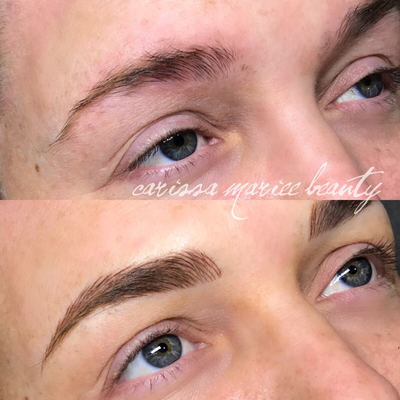 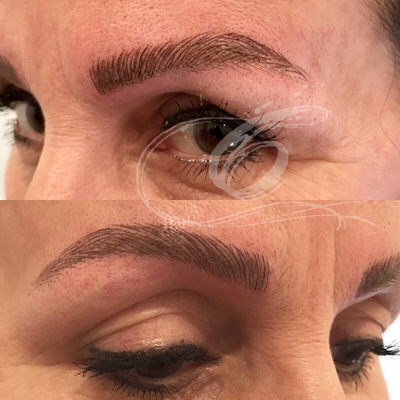 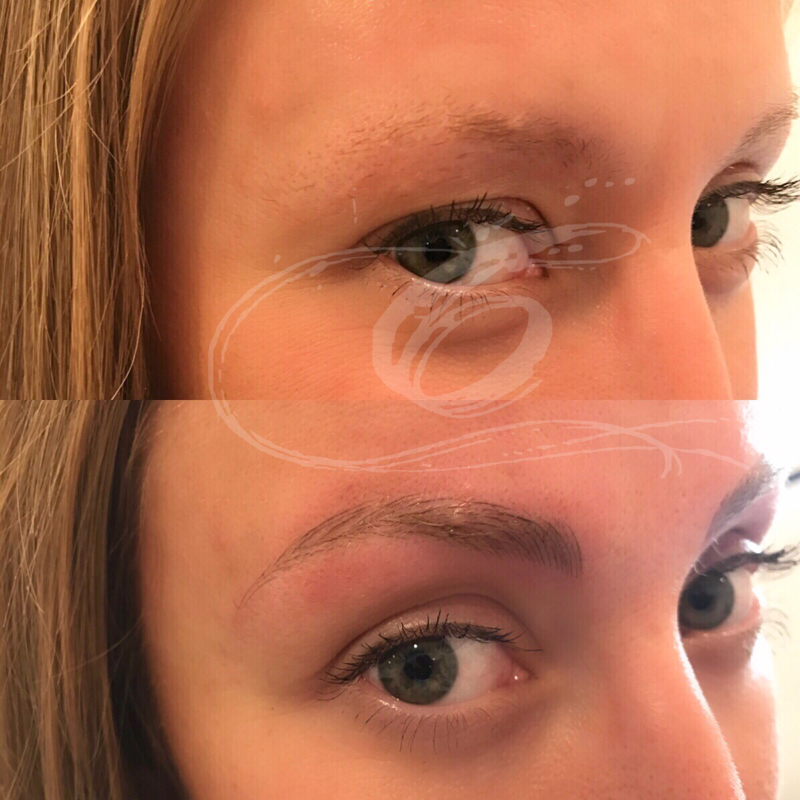 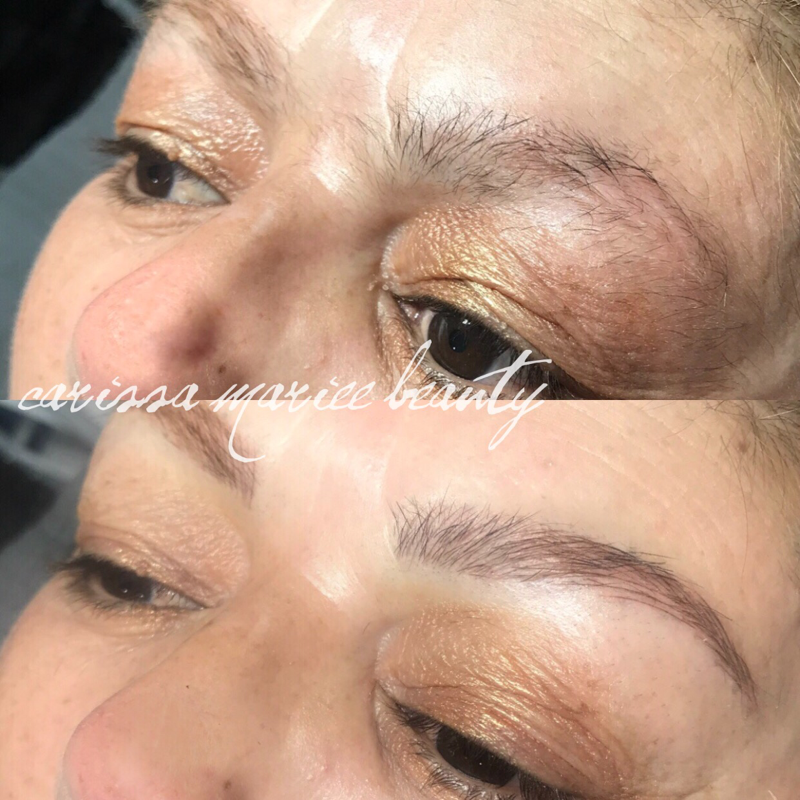 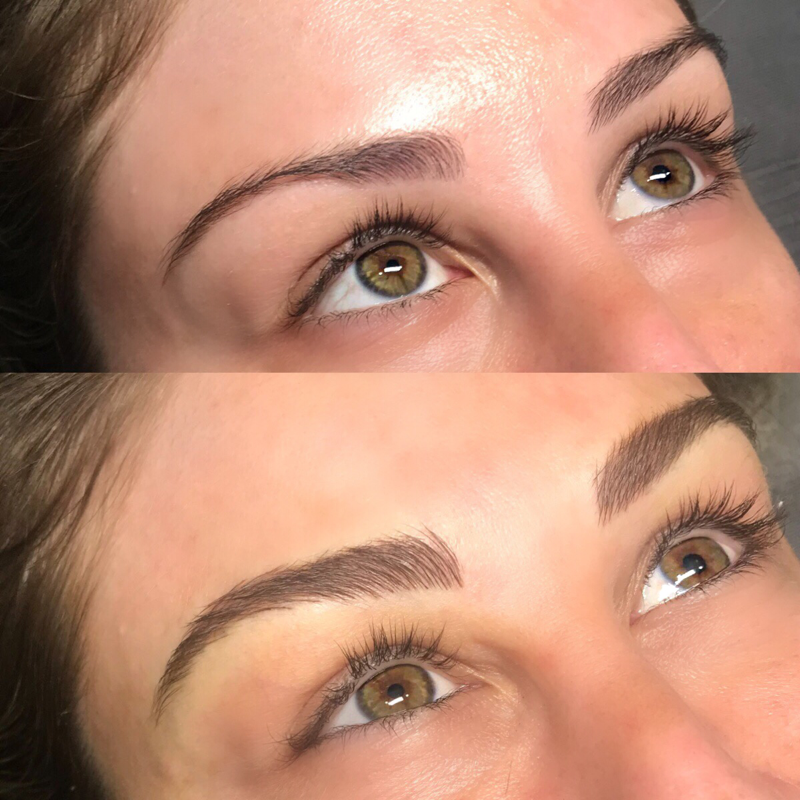 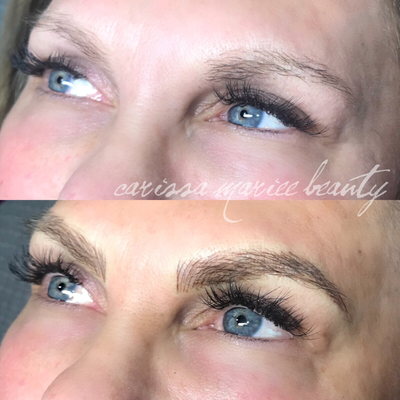 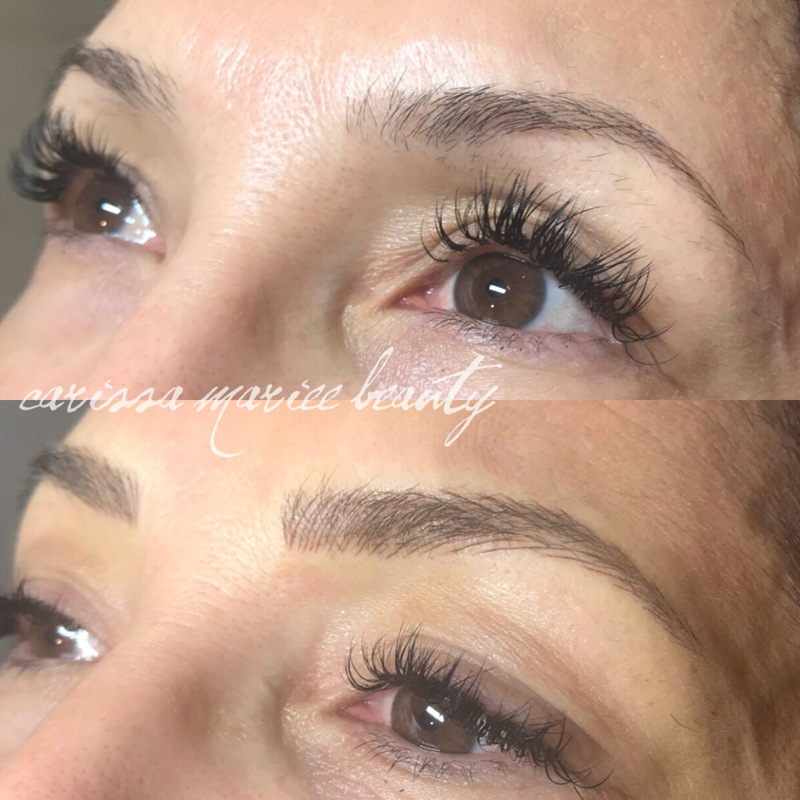 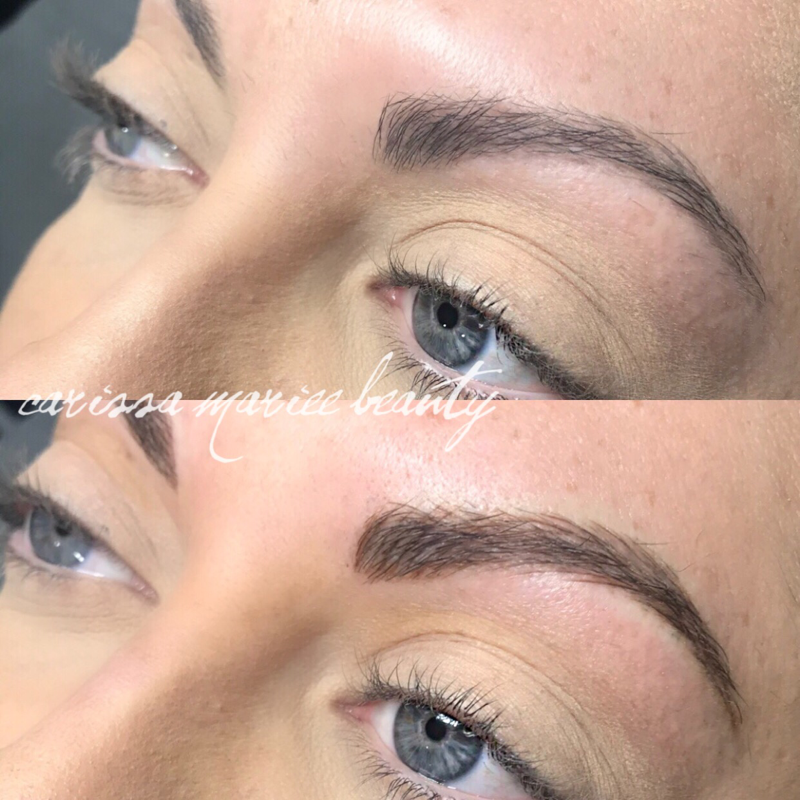 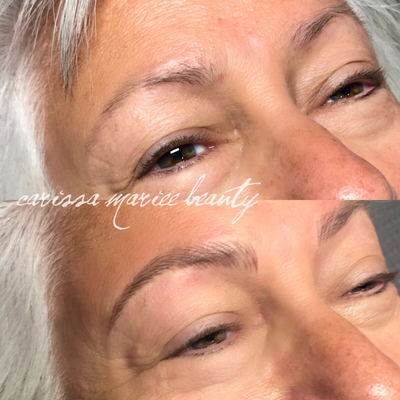 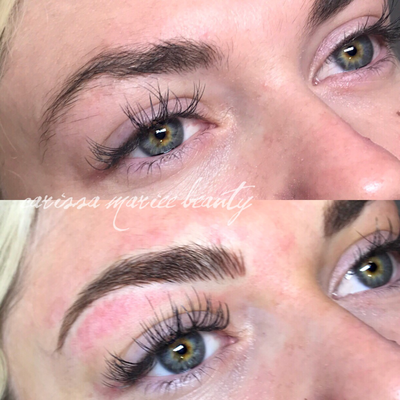 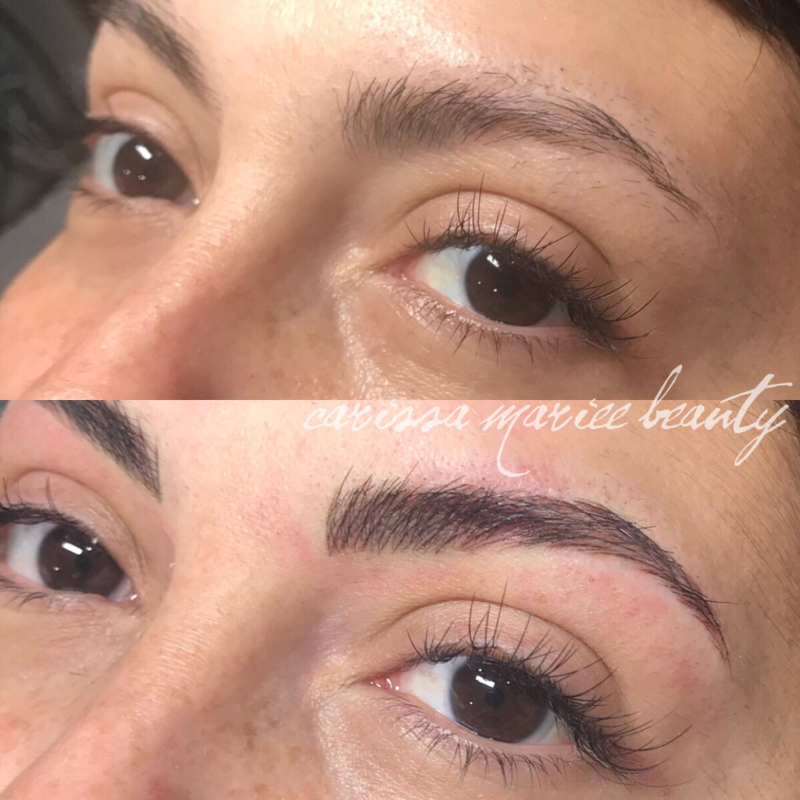 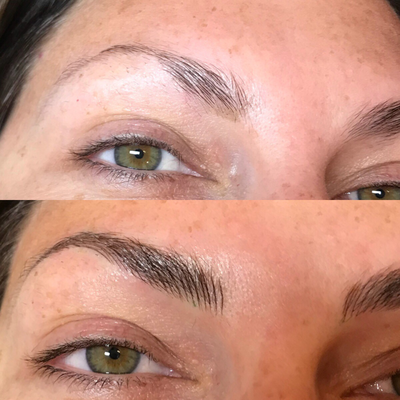 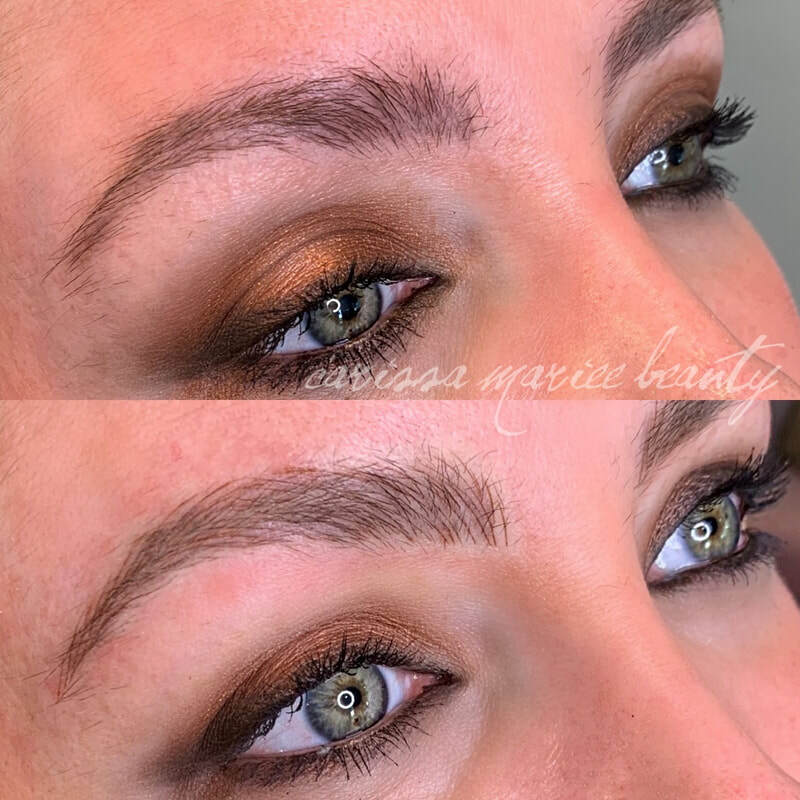 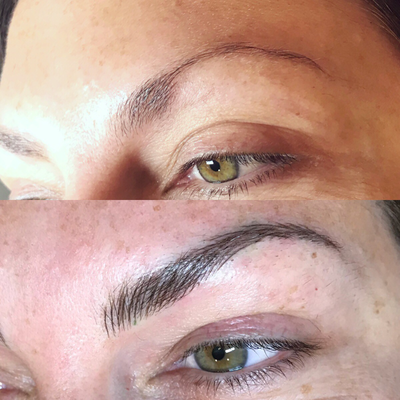 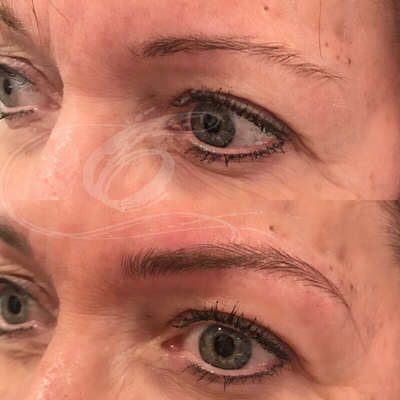 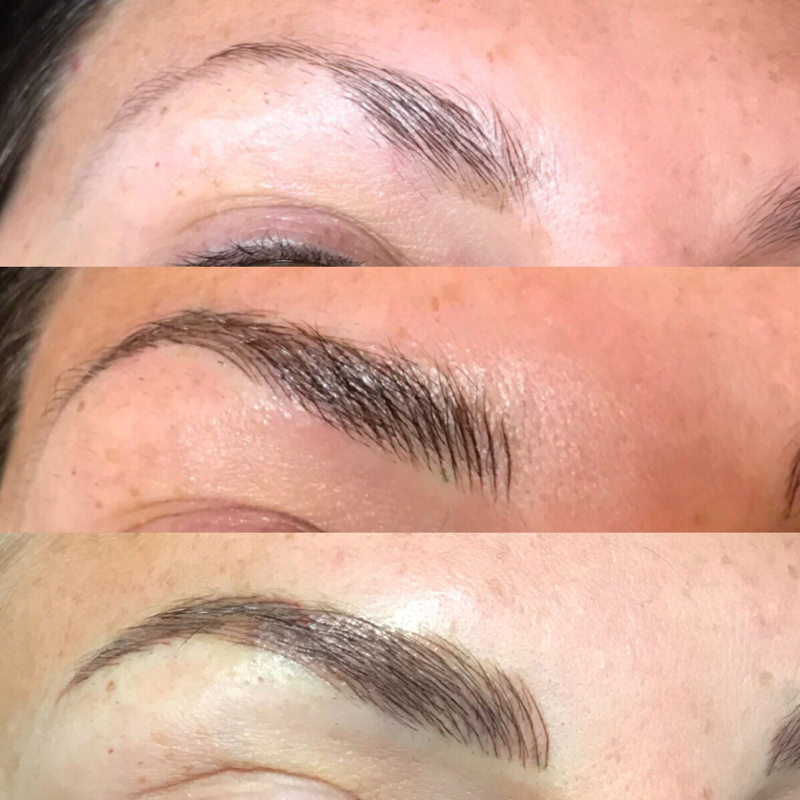 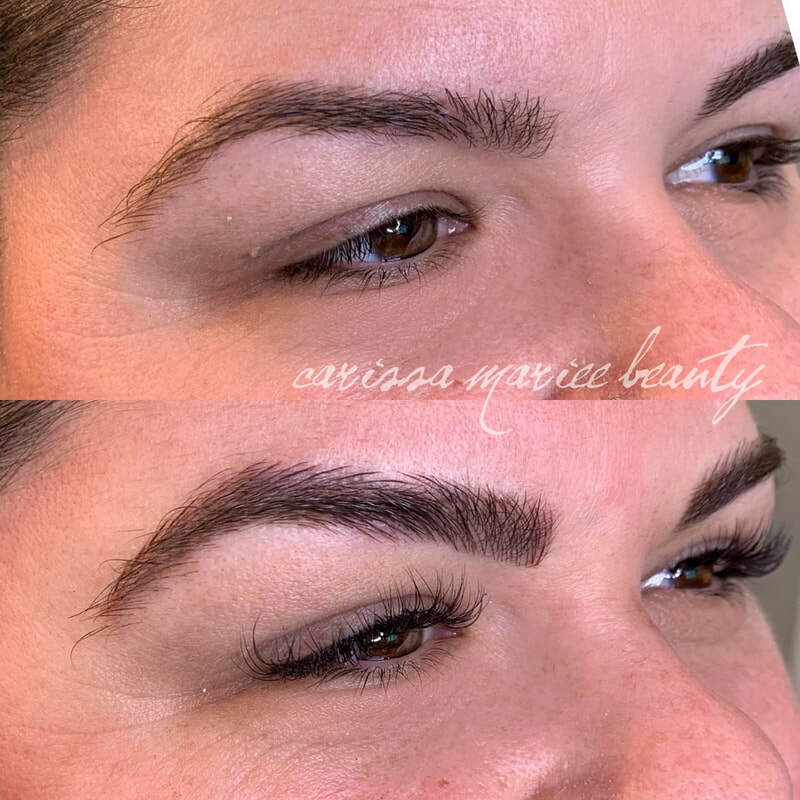 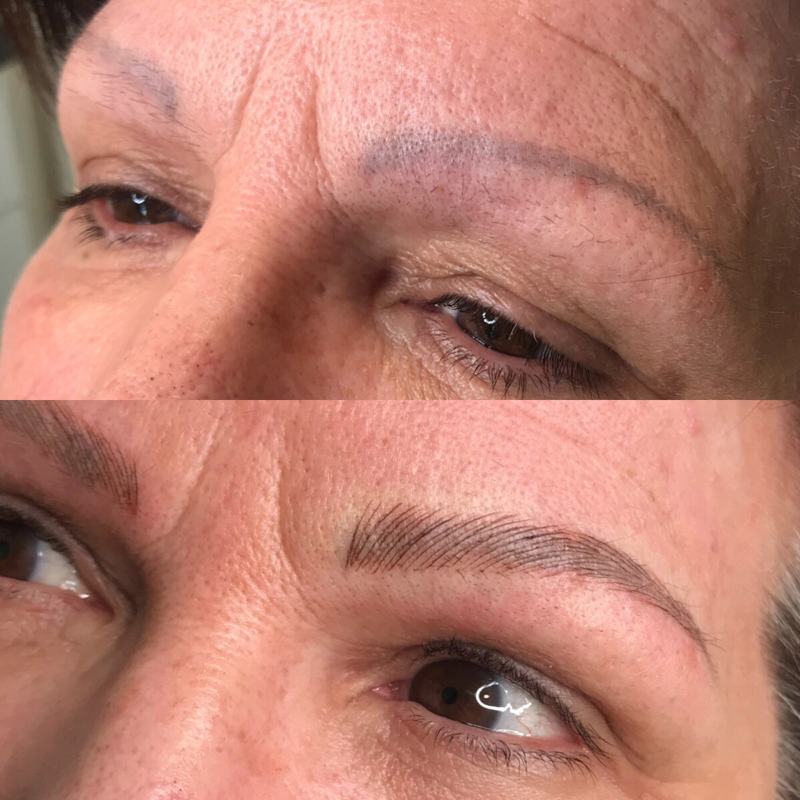 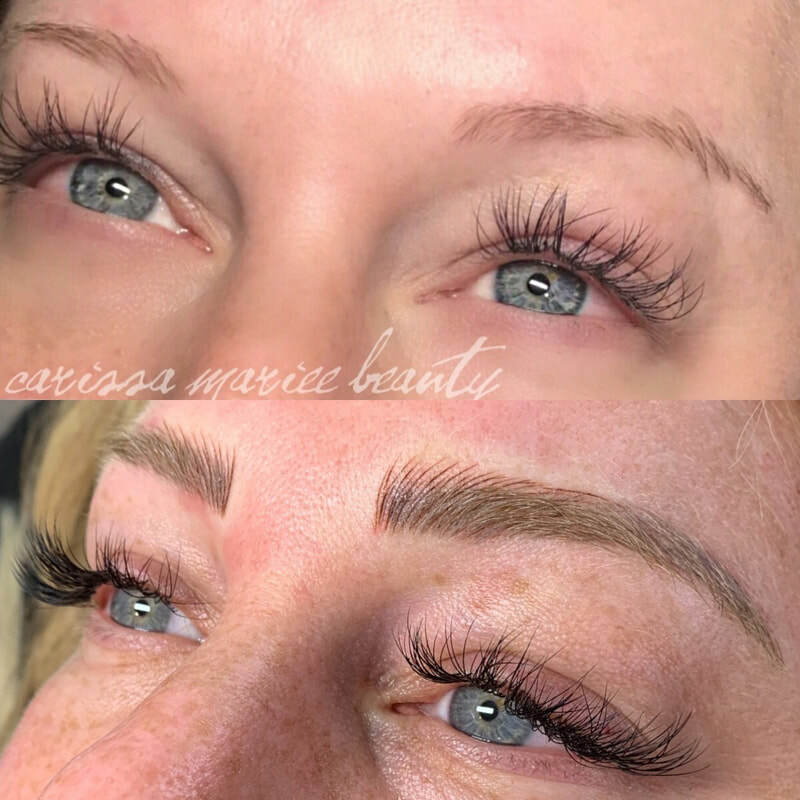 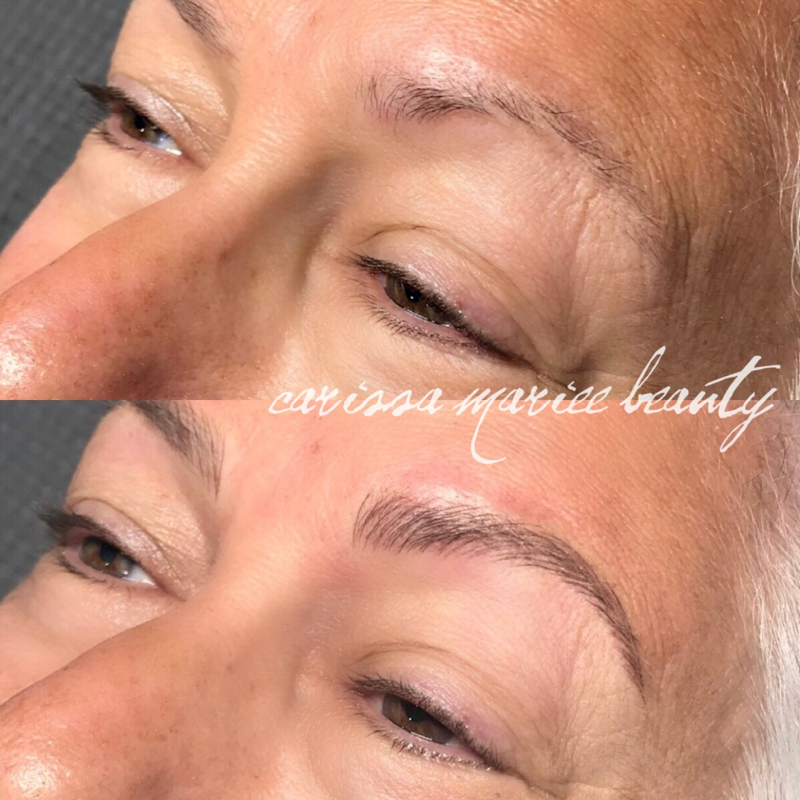 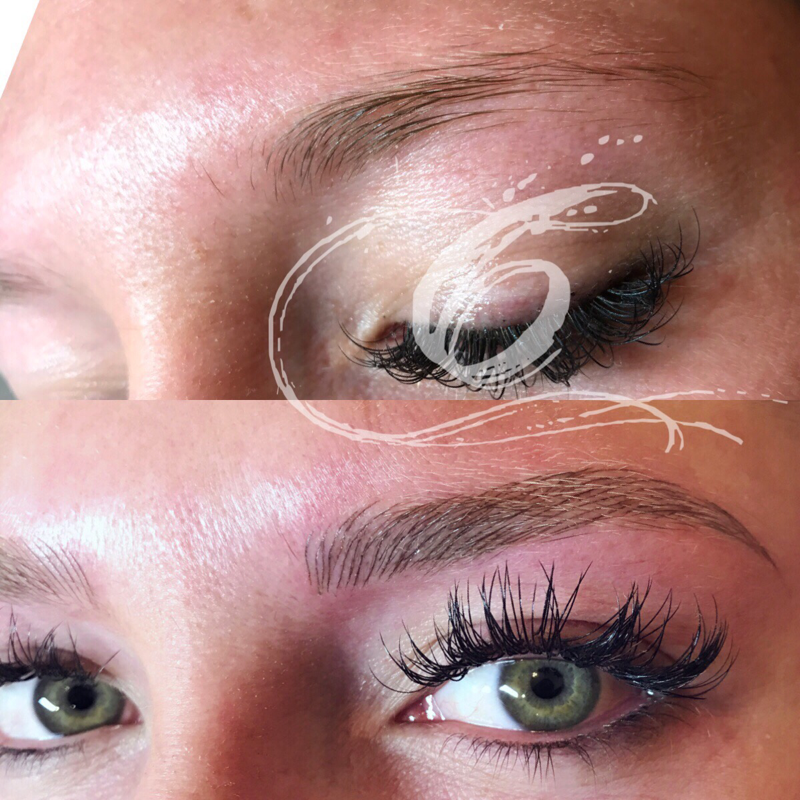 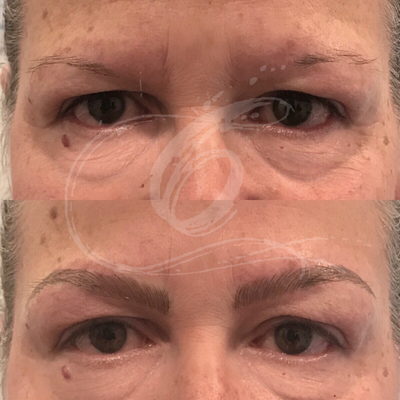 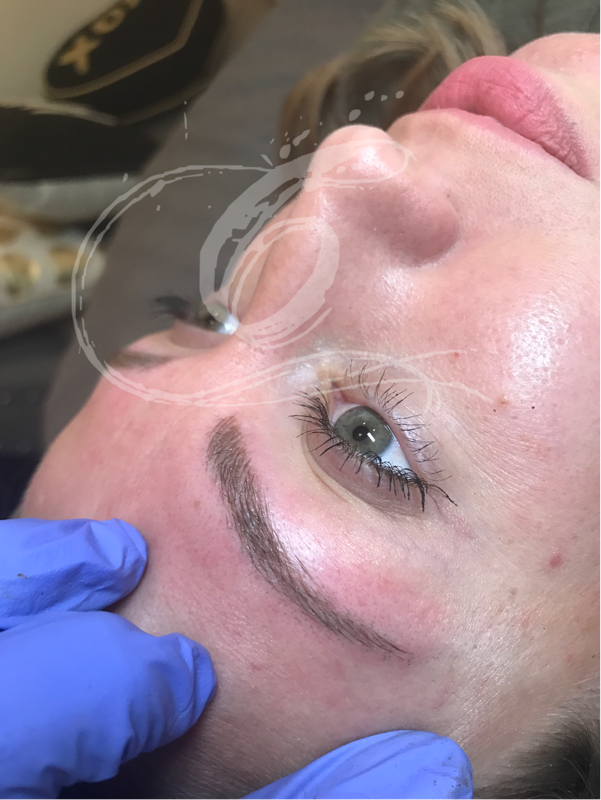 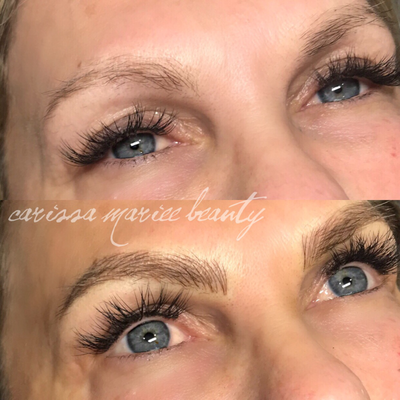 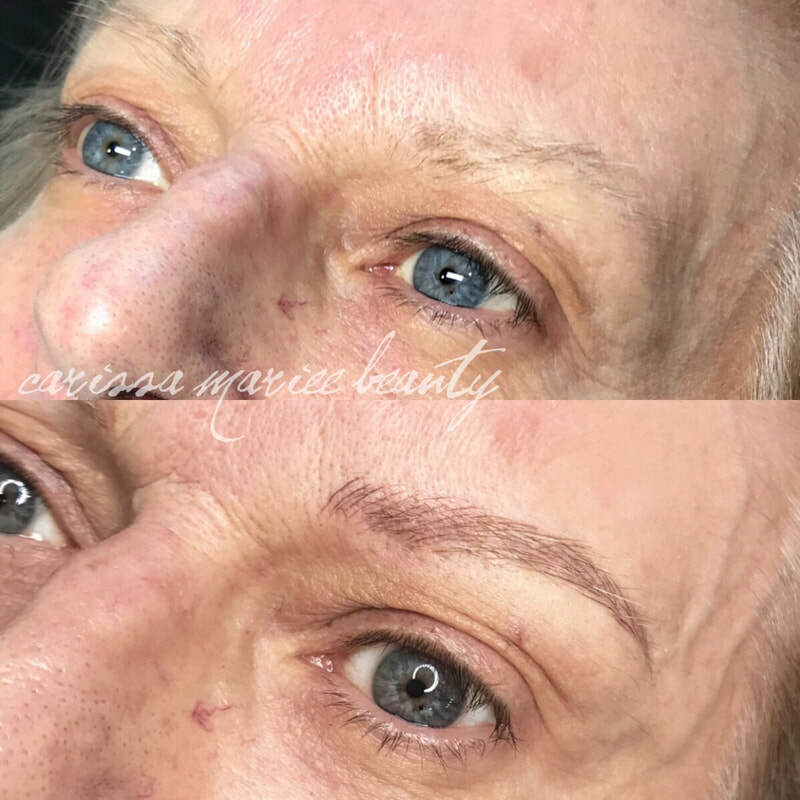 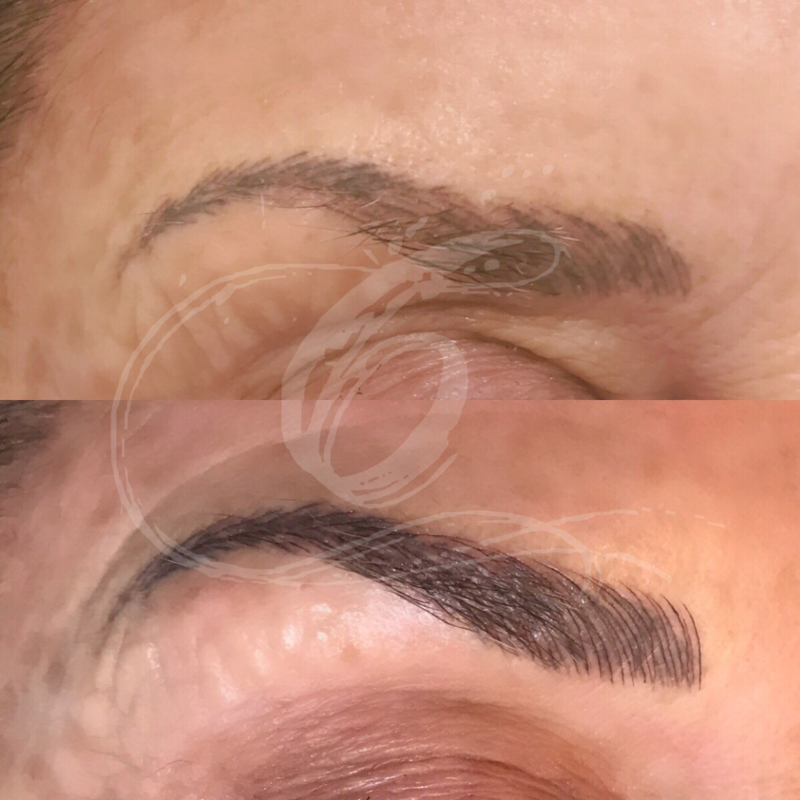 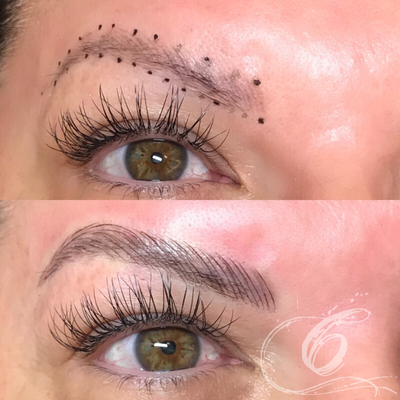 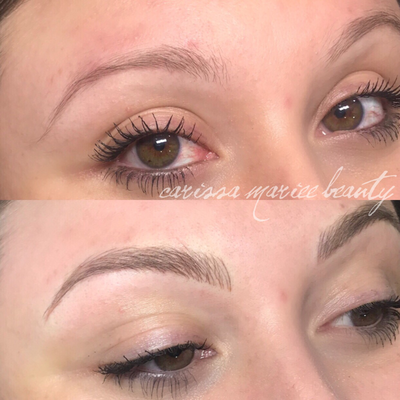 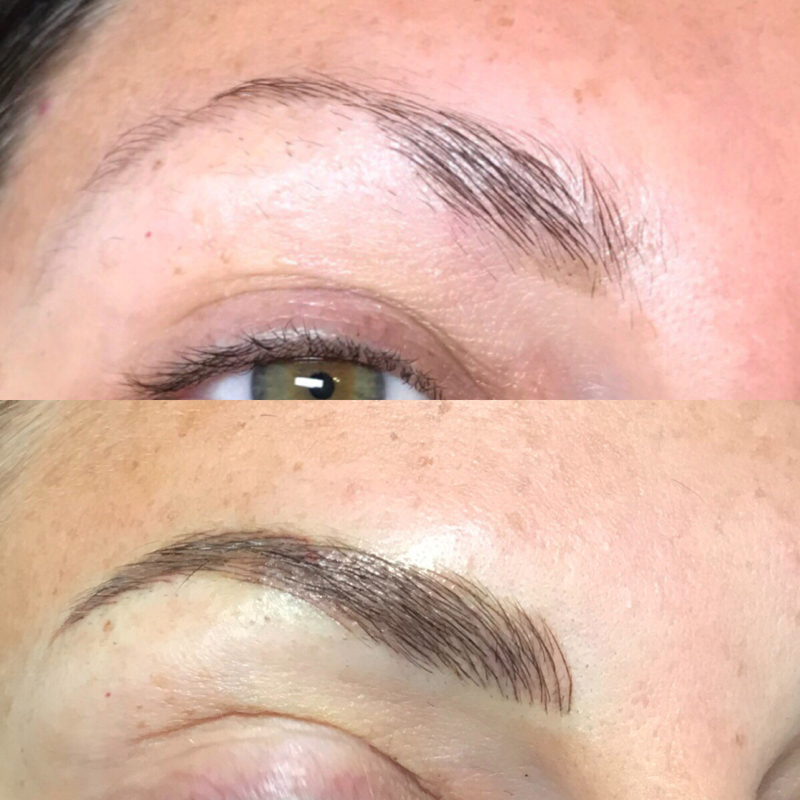 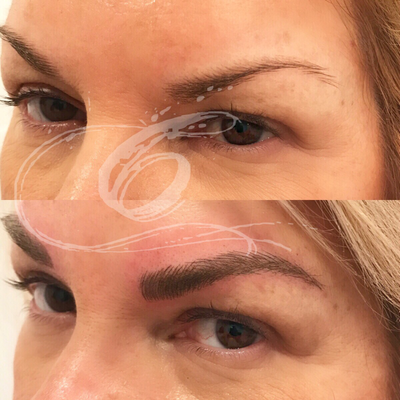 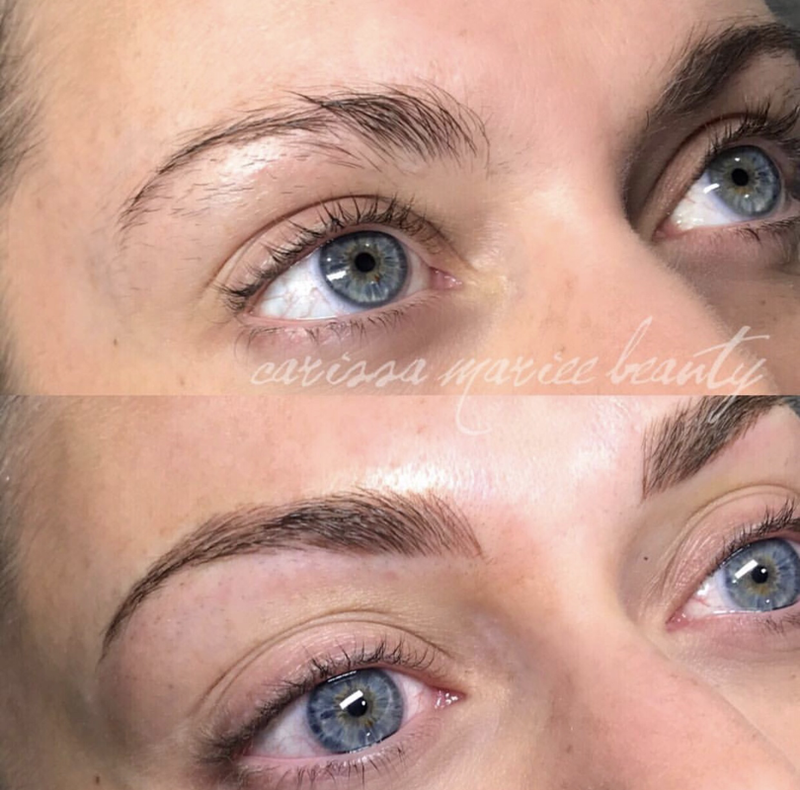 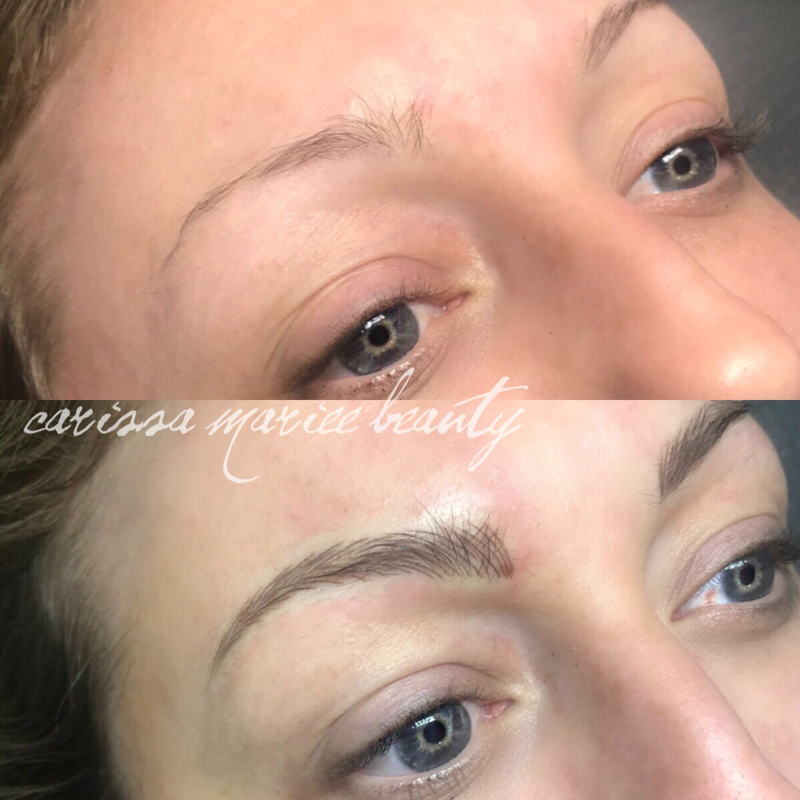 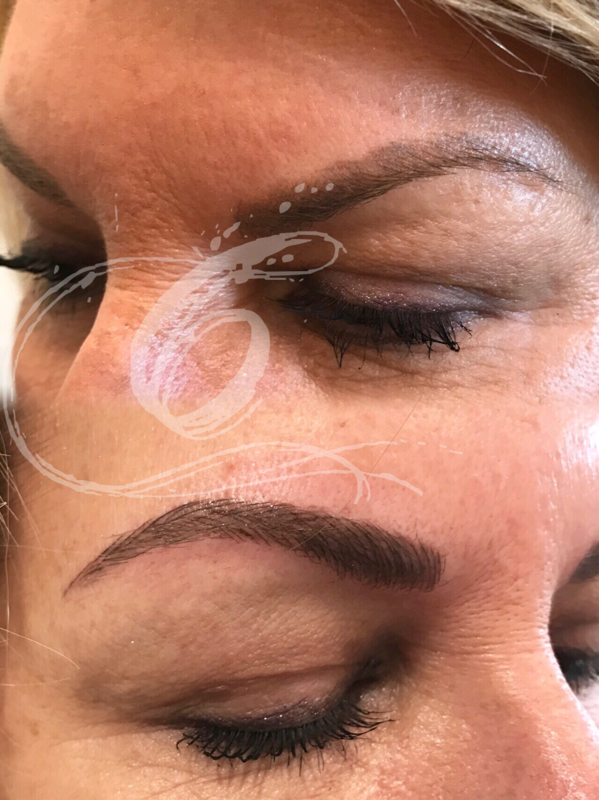 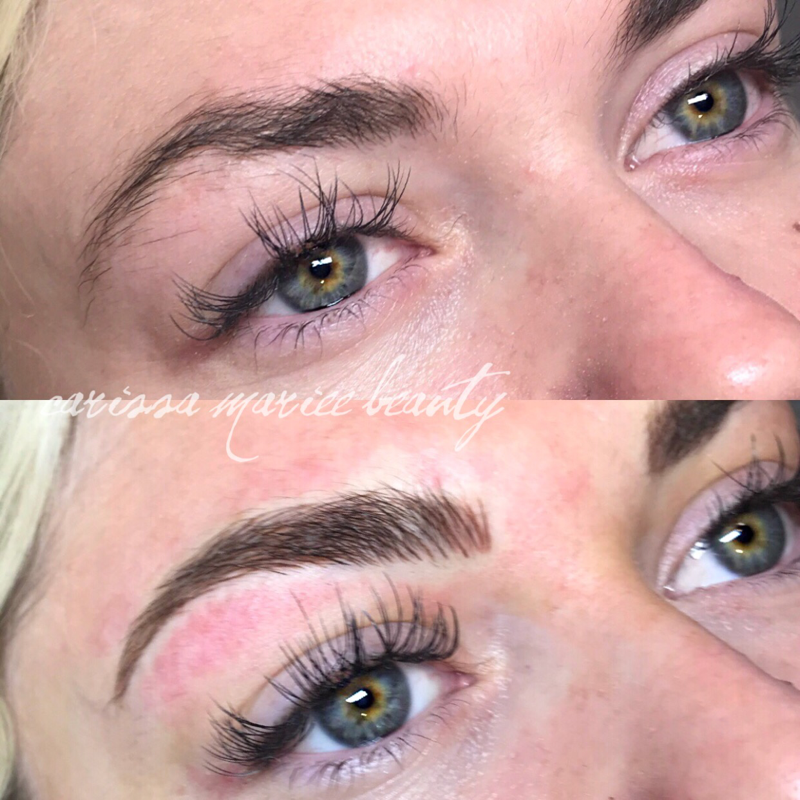 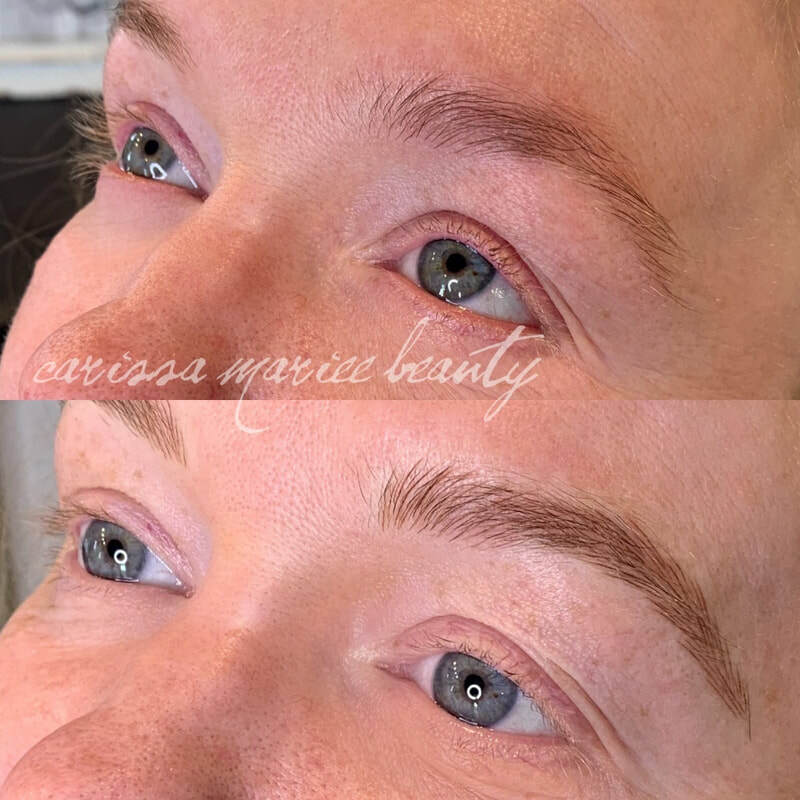 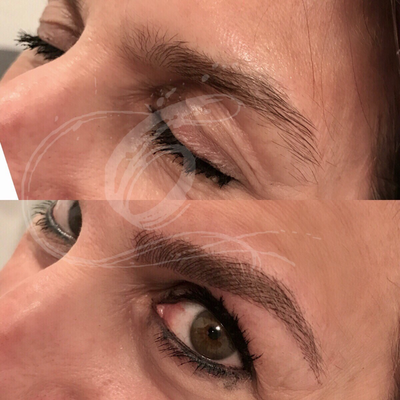 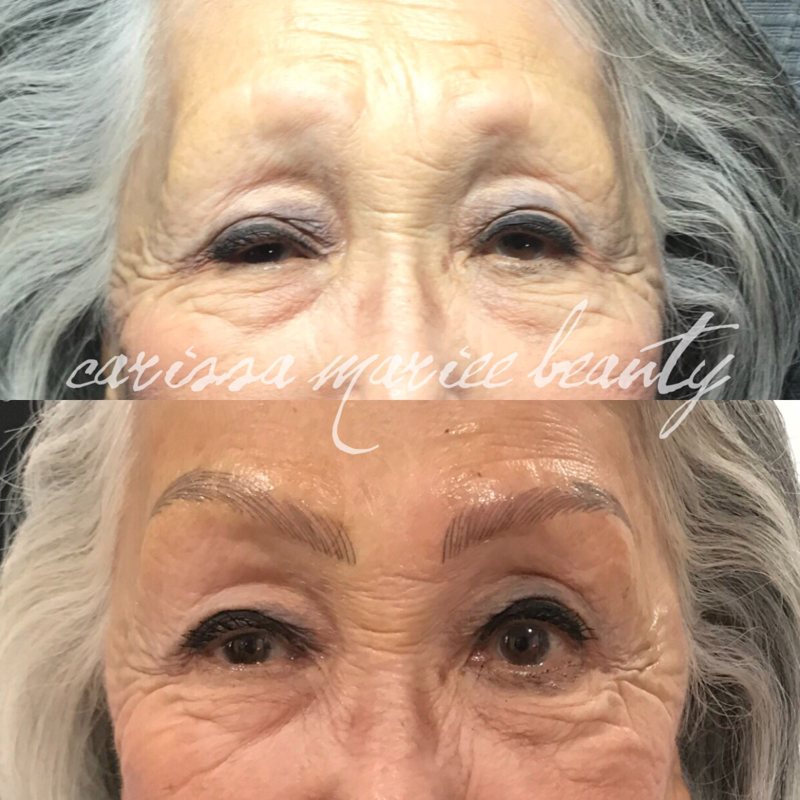 Microblading transforms the brow by using a unique method of tattooing, where pigment is implanted beneath the skin with a hand held tool instead of a machine, using hair strokes, feathering, and embroidery, that mimics your natural hair growth. 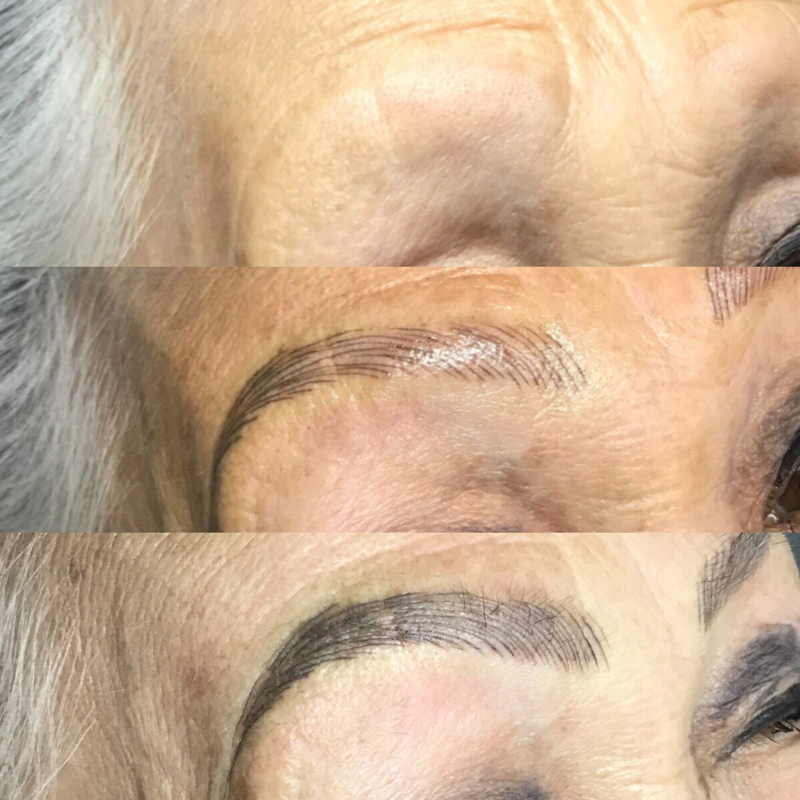 The result is extremely delicate and realistic! 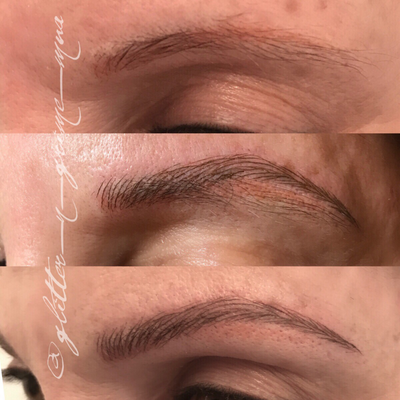 This method is semi-permanent and can last anywhere from 1-3 years depending on your skin type and how well it takes to the pigment. 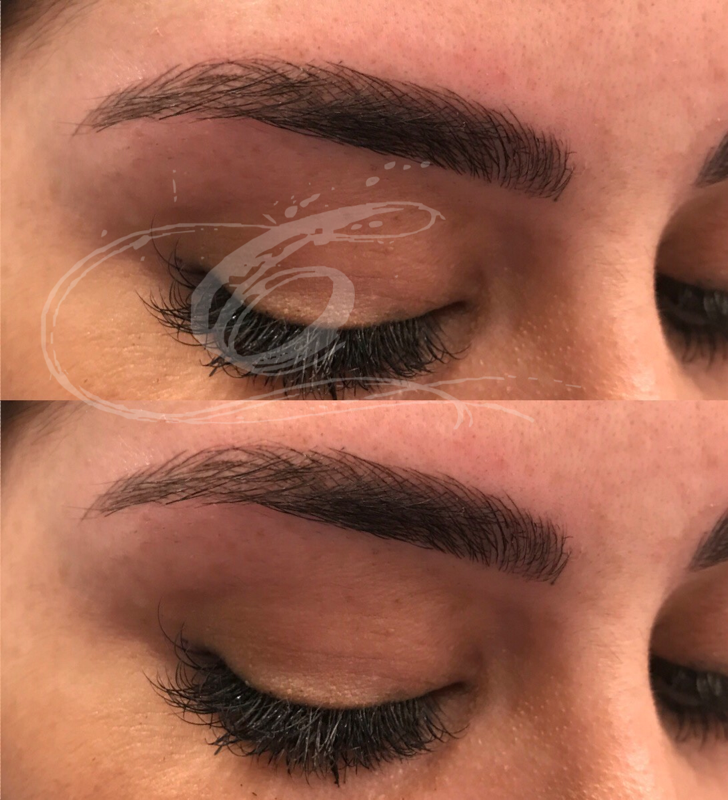 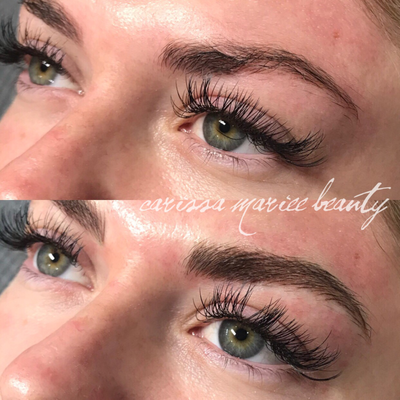 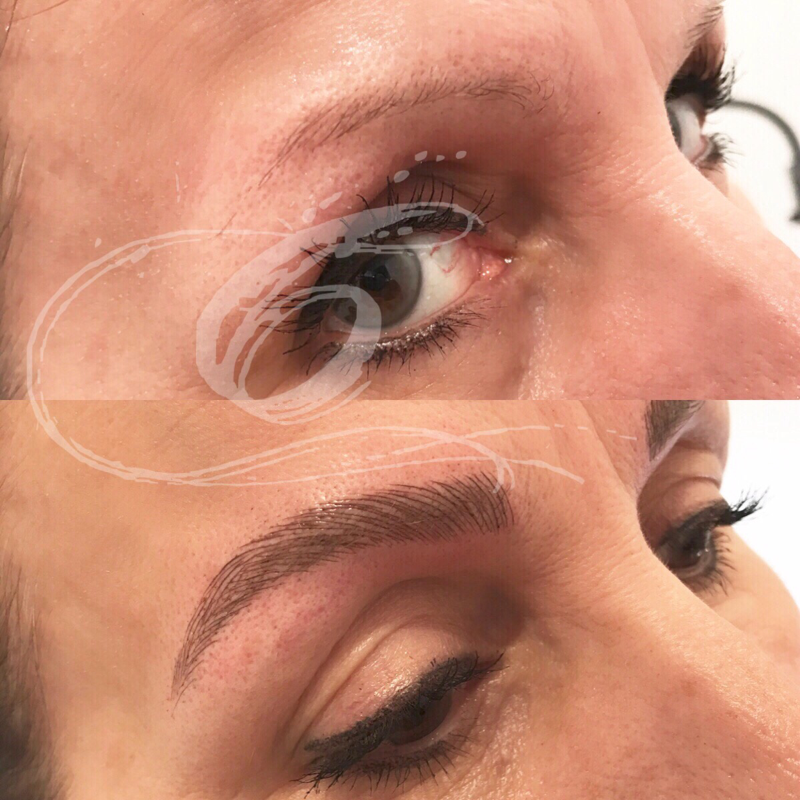 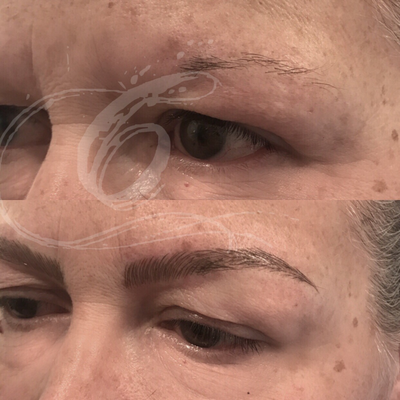 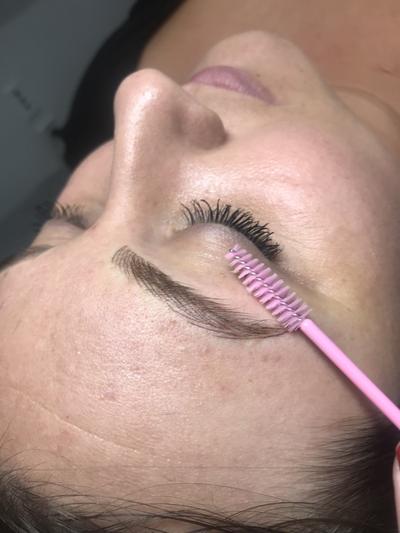 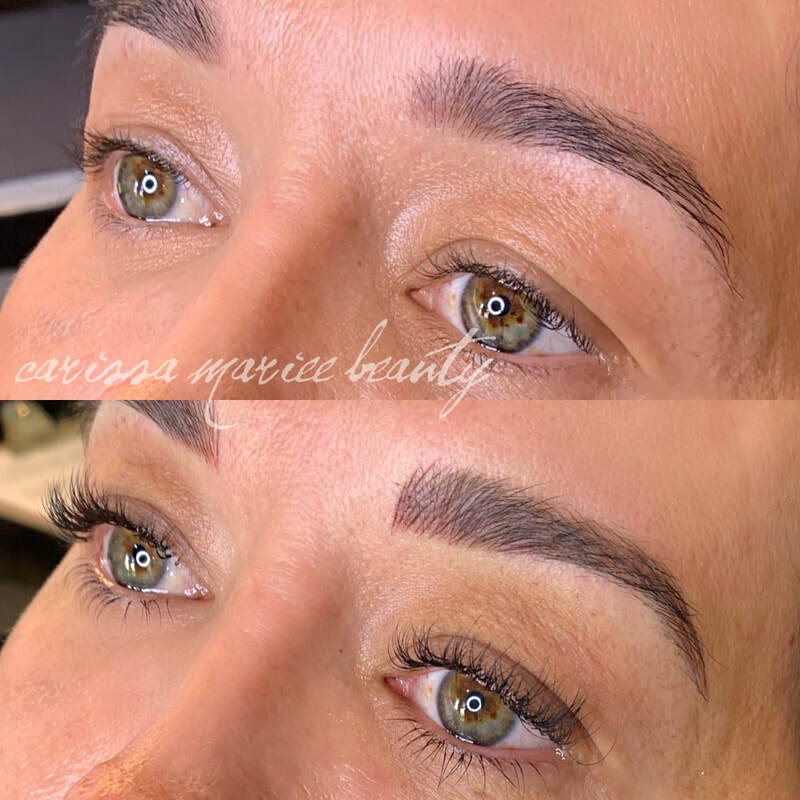 The method of implanting the pigment, the kind of pigment and it's concentration, are just a couple factors that make Microblading different from a traditional tattoo - giving us a brow we don't have to commit to forever which is especially important considering the ever evolving personal preferences and differing trends. 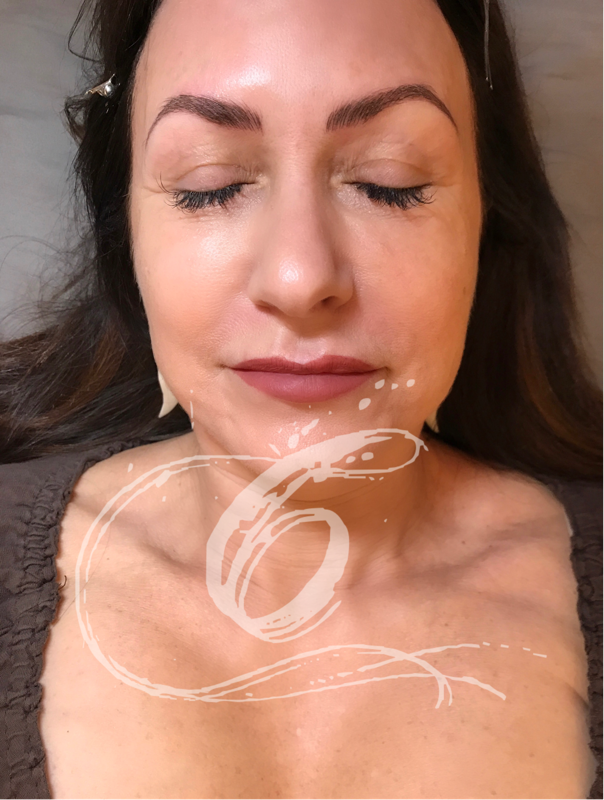 All pigments I use are plant based and 100% safe. I am a trained body art practitioner is all aspects of blood Bourne pathogen exposure & I am certified to perform this service by the Los Angeles County health department. 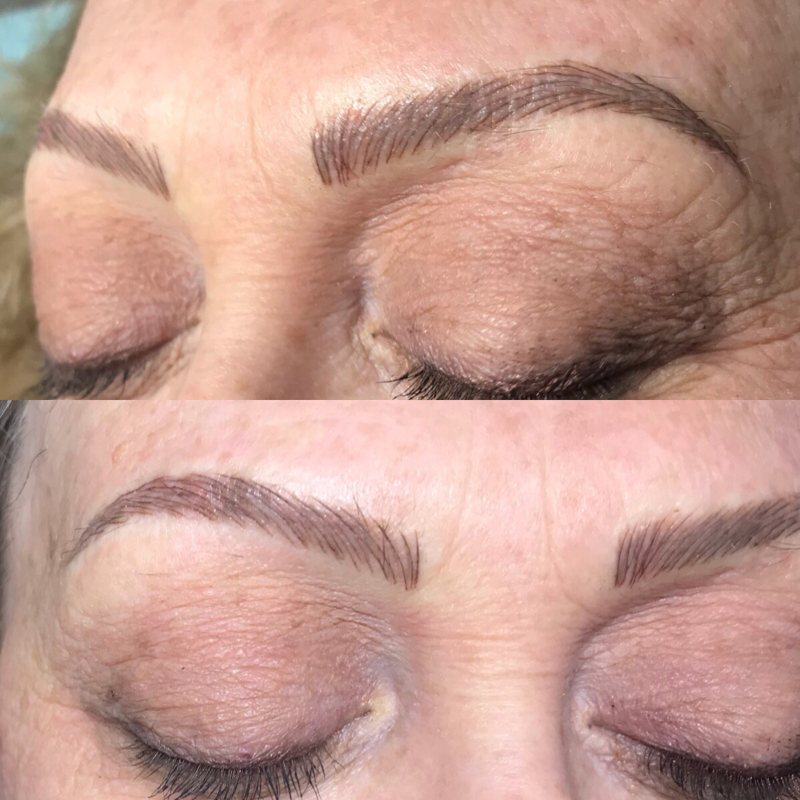 strict guidelines are adhered to. 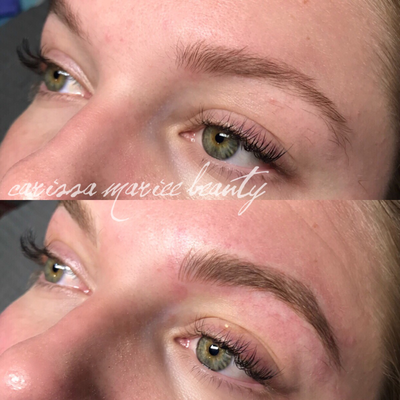 I am currently booking appointments in the LA area. Please let your technician know if you are pregnant, breast feeding, or diabetic. If so, you will need a doctor’s note in order to have this procedure performed. 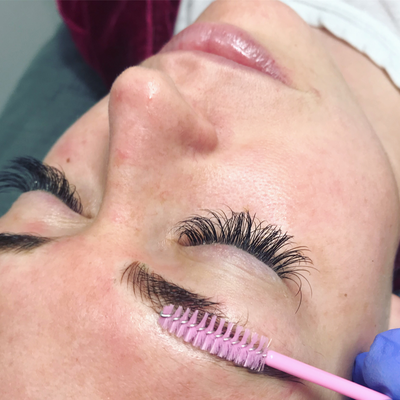 The duration of the appointment should last about an hour and a half to two hours at most. You will be lying down for most of the procedure; however, you will be asked to sit up from time to time to ensure precision of the process. 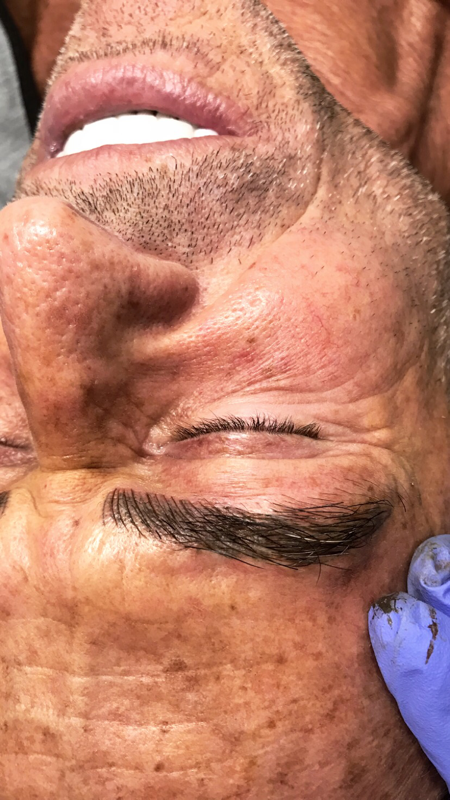 You will be numbed with a topical numbing cream that needs to sit on the skin for 30-40 minutes, so you may bring reading material to occupy your time. Feel free to bring any pictures of your dream brow but know however that the artist will be measuring and marking your face upon making recommendations of what is best suited for your face shape and bone structure. 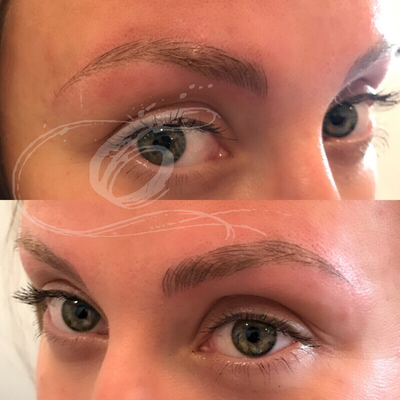 Microblading is mainly to enhance your existing brows, not give you “new ones.” We will work together prior to blading, with measurements and markings to ensure you are confident and happy with what is to come. 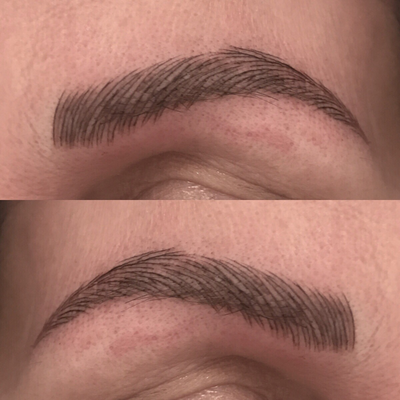 The actual process should take about 45 minutes to an hour. 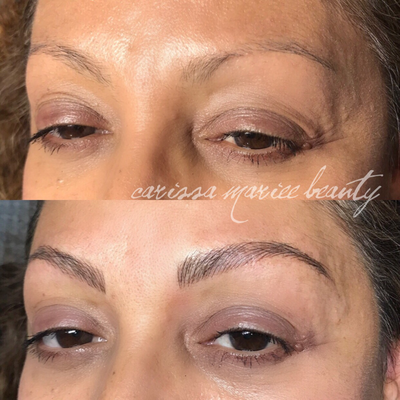 The numbing cream does not fully numb the brows. 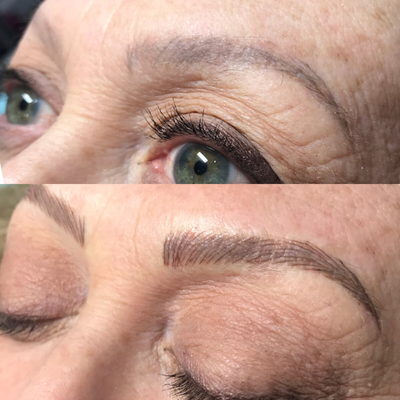 It does however, take the edge off of the experience. 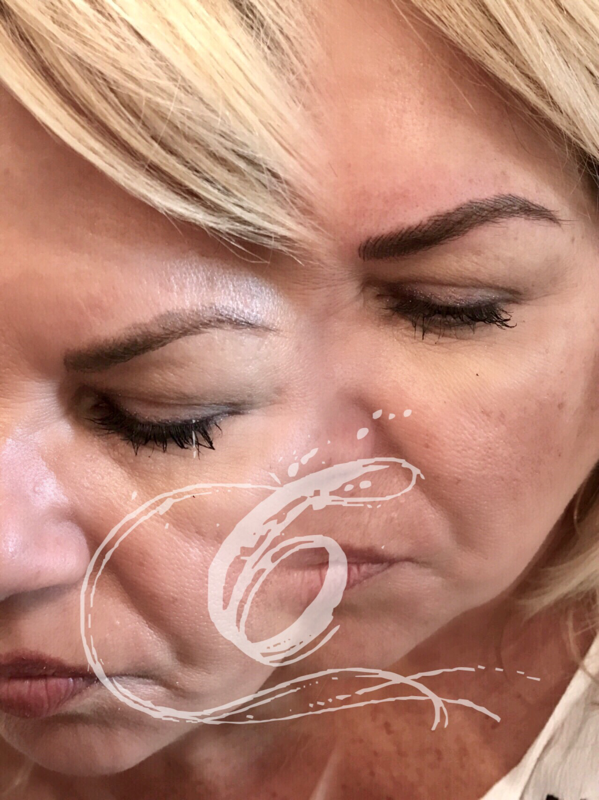 It has even been said that numbing is not even necessary at all. 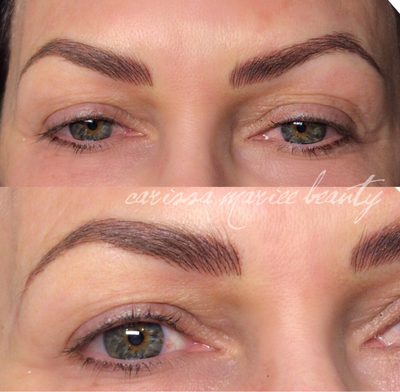 Additionally, when anesthetics are not used, the color tends to last longer. 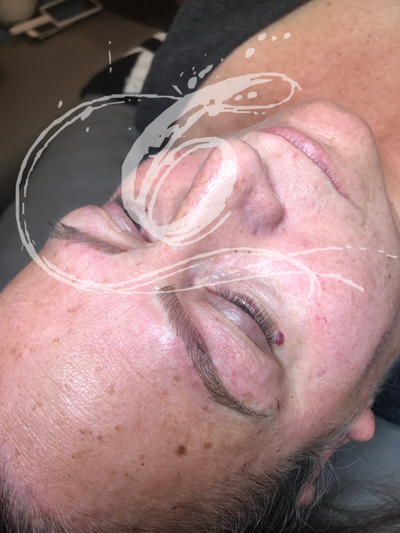 If the procedure is not tolerable or too uncomfortable, we will apply more numbing cream once the skin is initially broken. 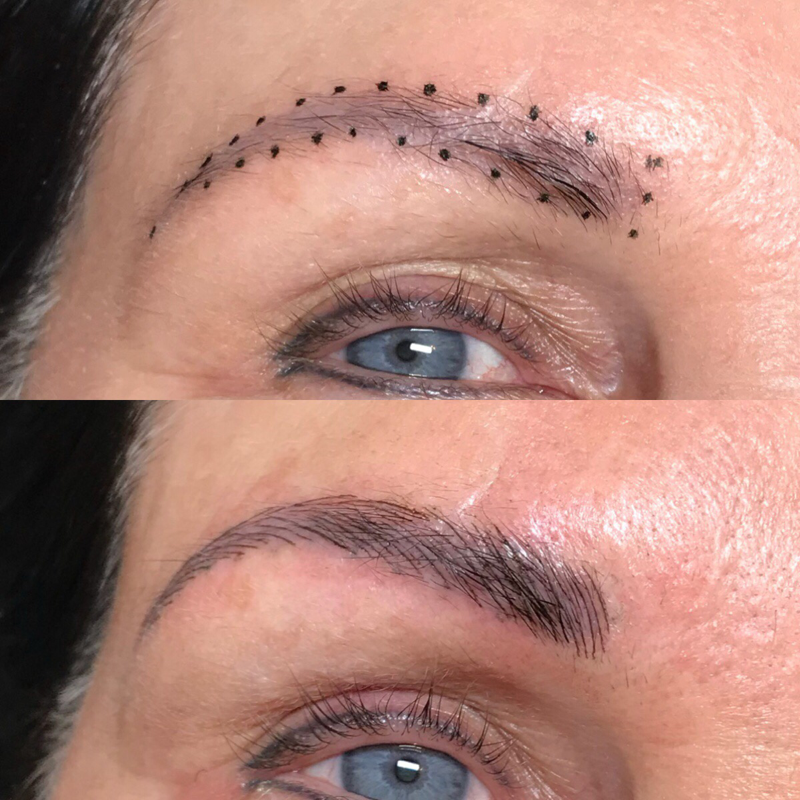 The procedure is much less painful than a traditional tattoo that uses a machine. The worst part to most is the “scratching” sound the instrument makes against your skin. 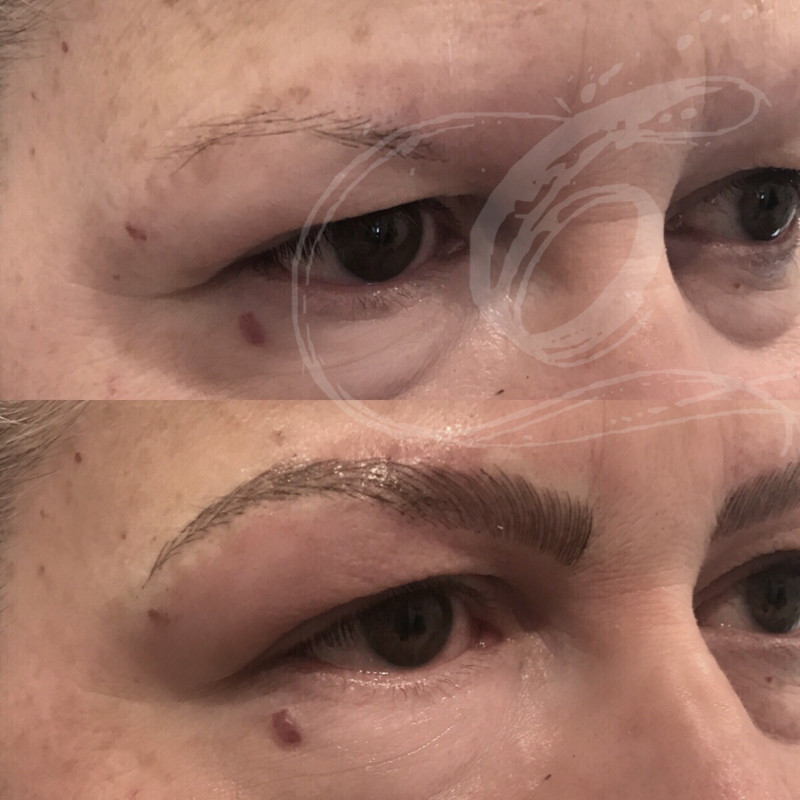 This is a two part process – The initial procedure & the follow up appointment (where touch ups will be made 4-6 weeks after). 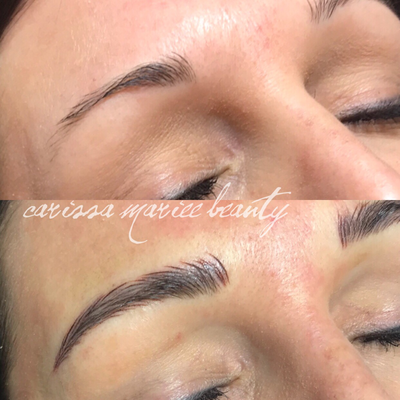 Please adhere to my 24 hour cancellation policy as the demand for this service is high. 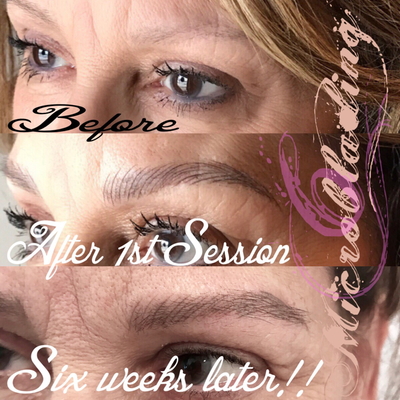 Aftercare is crucial in producing a beautiful & lasting result! 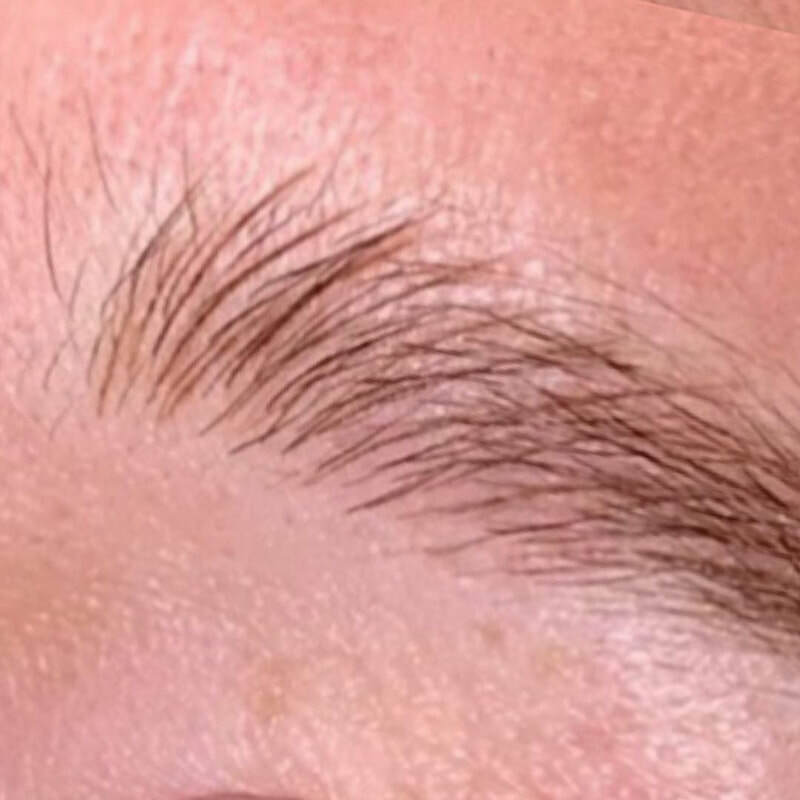 Clean: Keep the area clean by washing with clean hands and a mild soap. 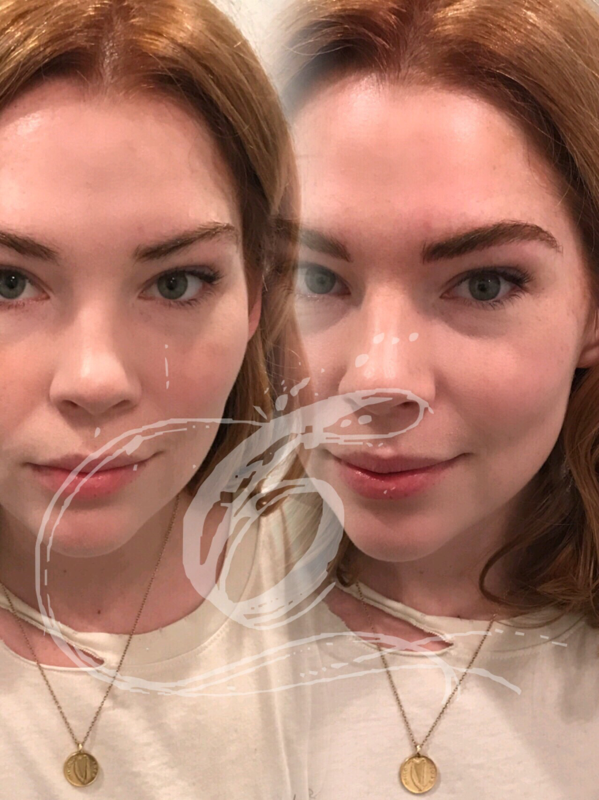 Avoid using a washcloth or anything with texture to remove soap; simply splash with water. Balm: Apply Neosporin or Aquaphor twice daily with clean hands or a q-tip. Use sparingly; wipe off any excess to avoid oversaturation. 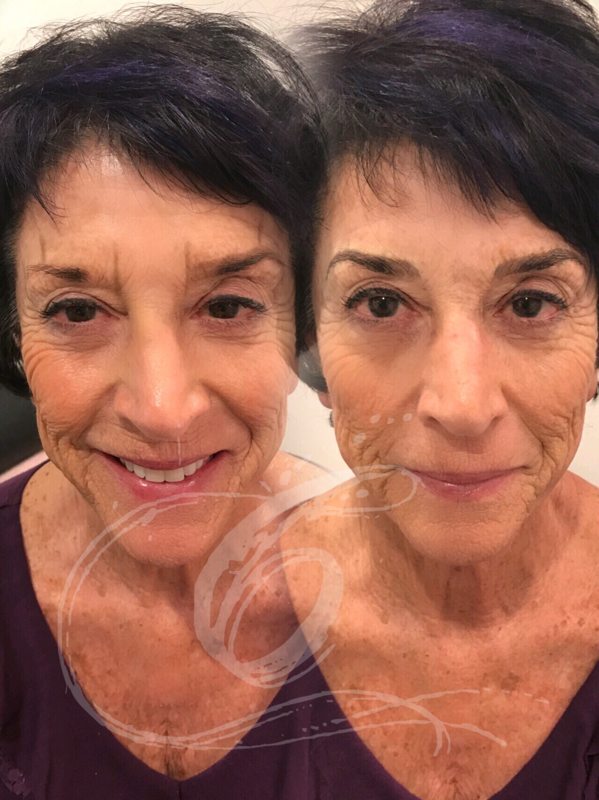 • Once healed, sunblock should be applied to protect from prematurely fading. 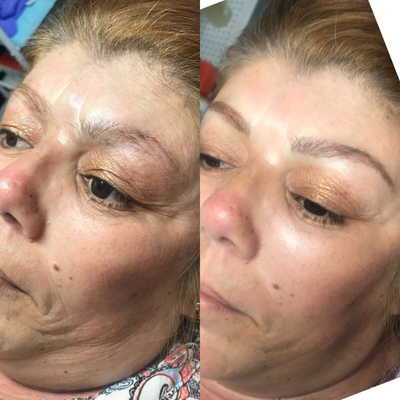 Swelling: Mild swelling, itching, light scabbing, light bruising, and dry tightness can be normal. 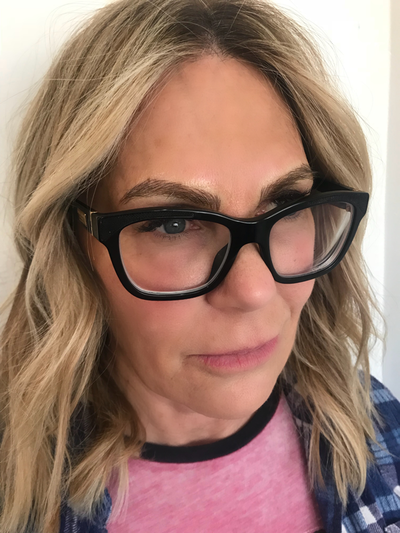 Ice packs are a nice relief in these instances. Appearance: The pigment can appear too light, too dark or uneven. In 2-7 days the intensity of the pigment should fade 35% - 45%. 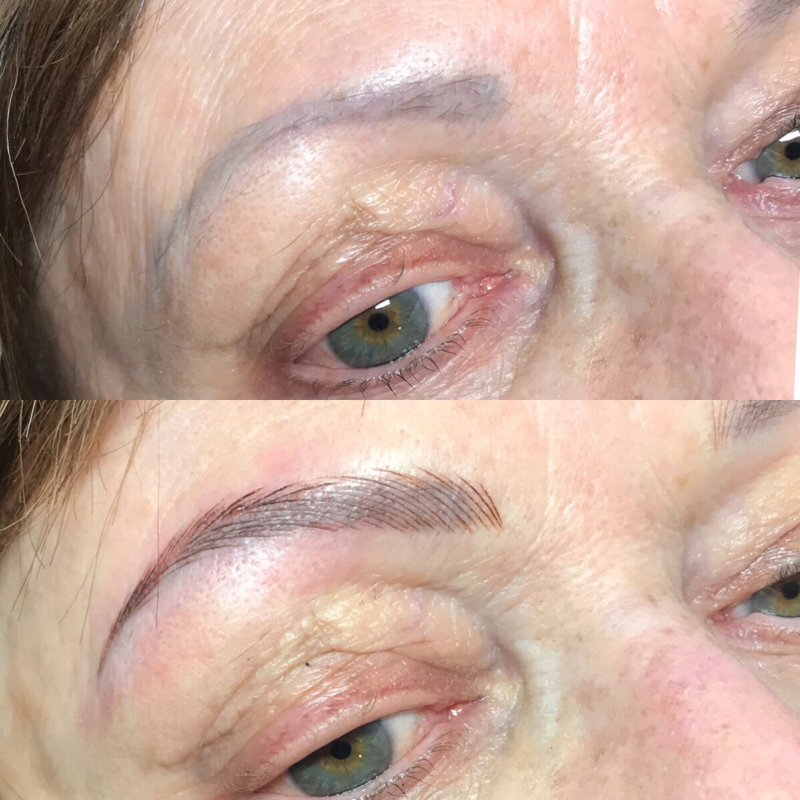 Pigment should correct itself and once the swelling dissipates, it should look even. 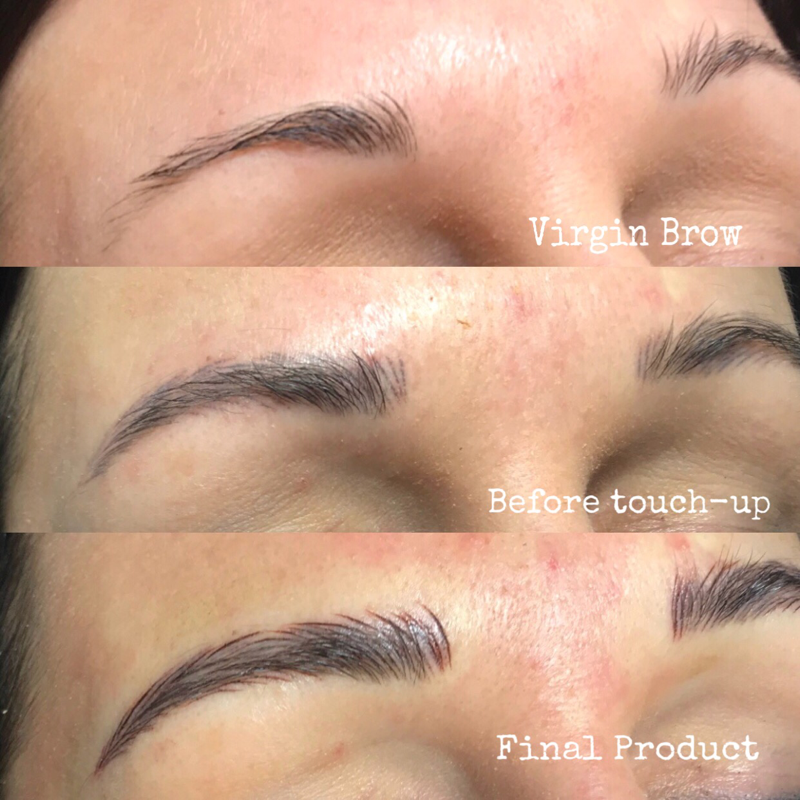 If they are not to your satisfaction, all corrections can be made during the touch up appointment. 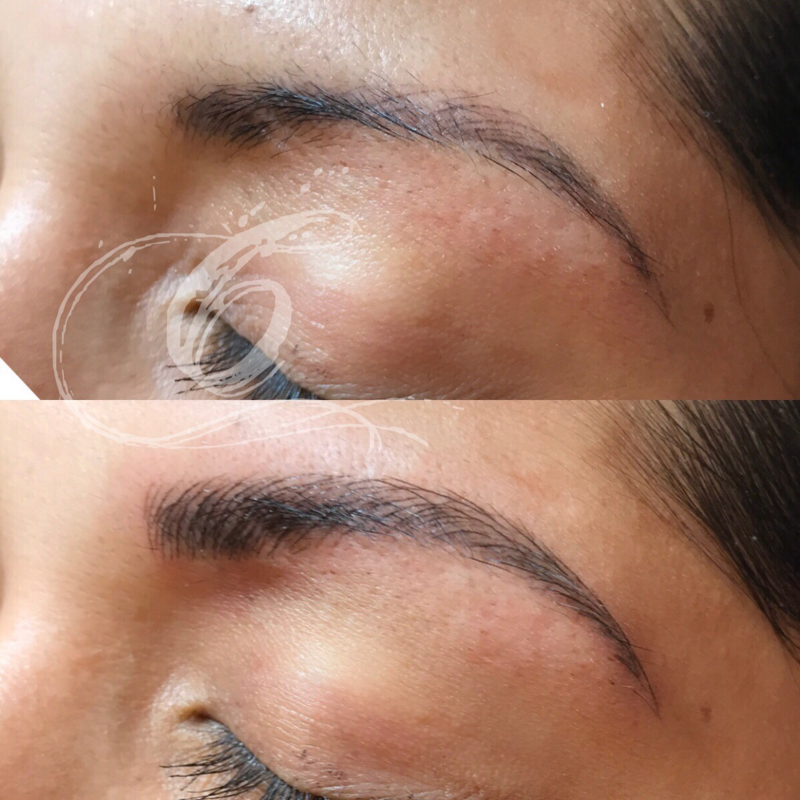 Touch-Up: A touch up appointment is advised 4-6 weeks following the initial procedure. 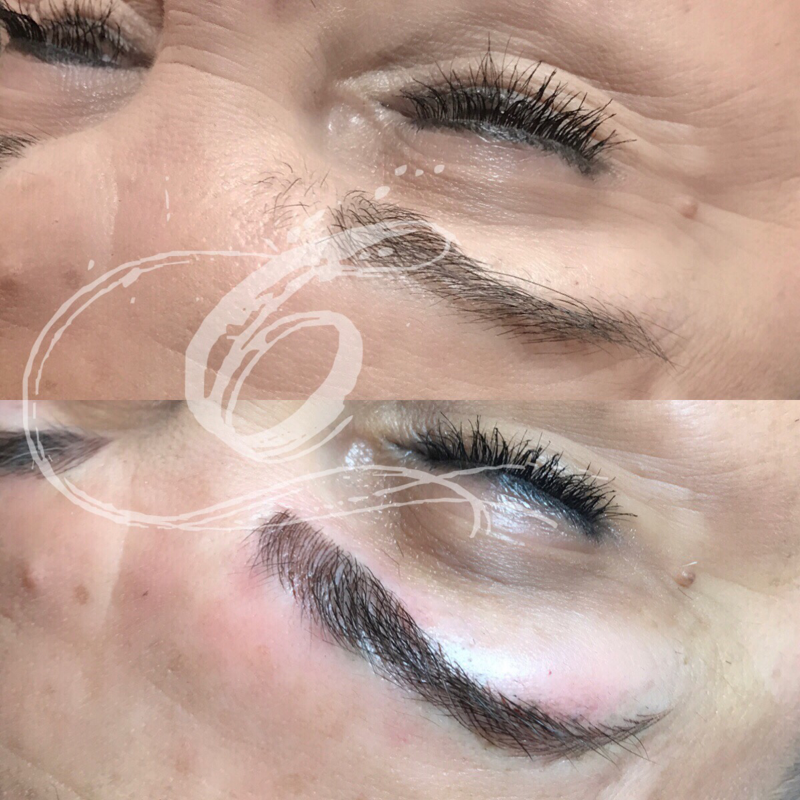 If pigment continues to fade, an additional procedure should be done at 6 or 12 months. The first appointment and 4-6 week touch up are included in the overall cost. *Failure to follow after care instructions may result in infection, pigment loss, and/or discoloration.